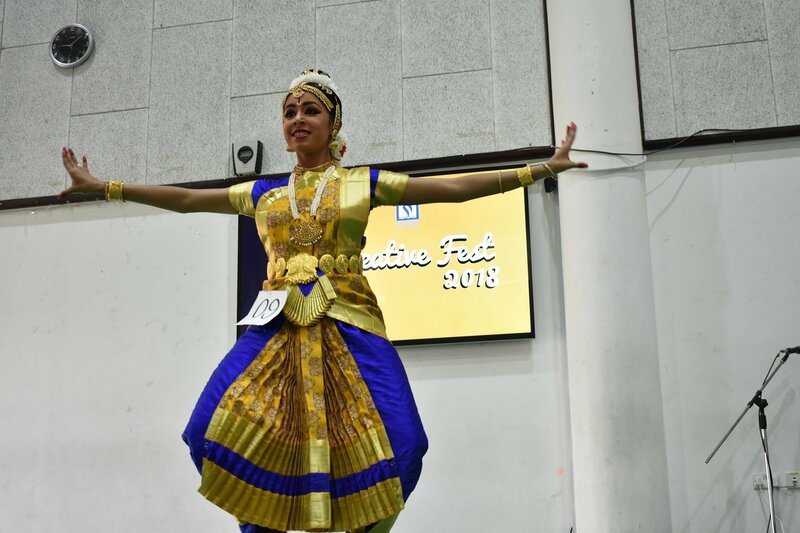 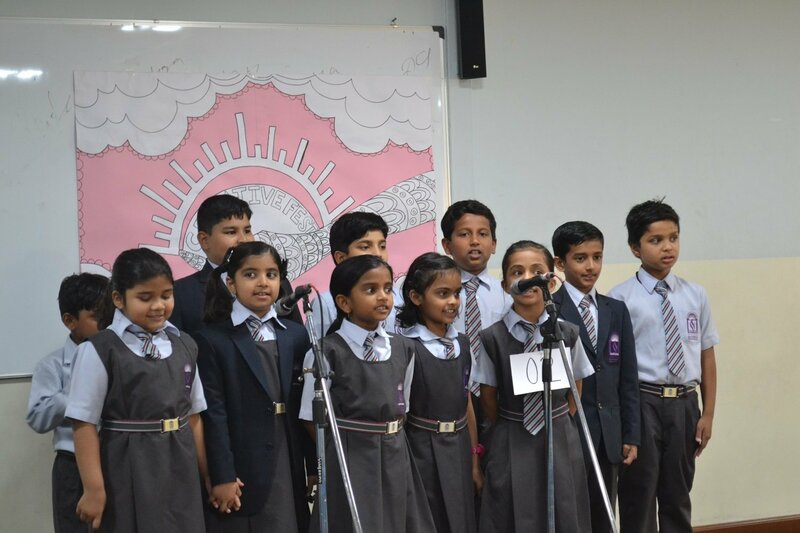 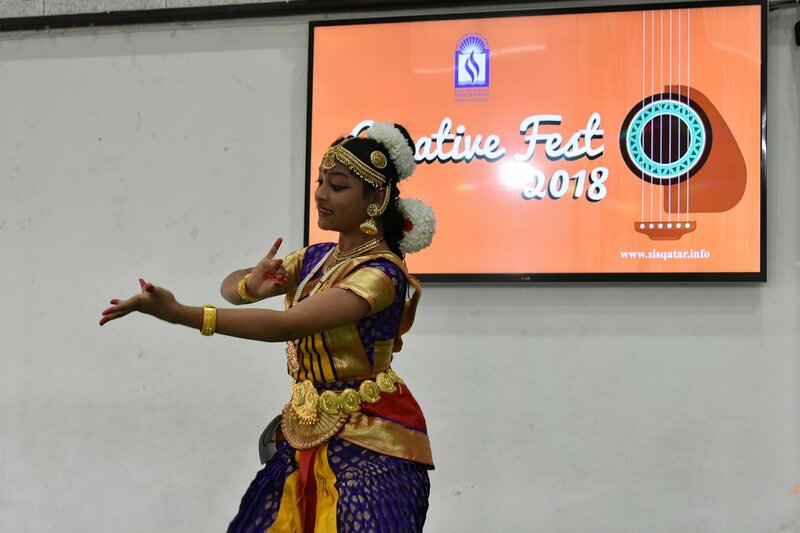 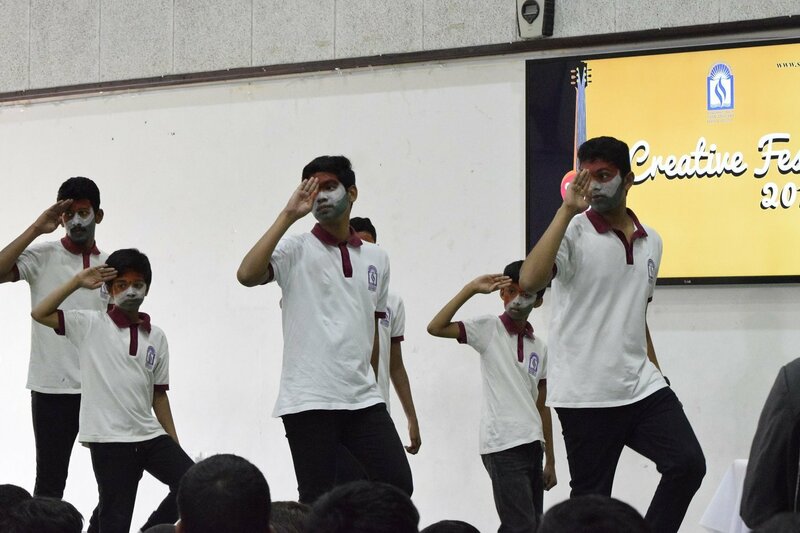 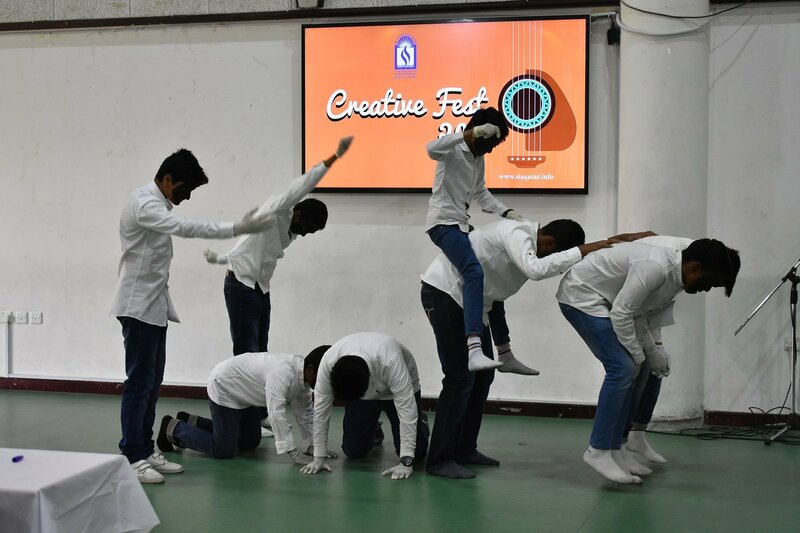 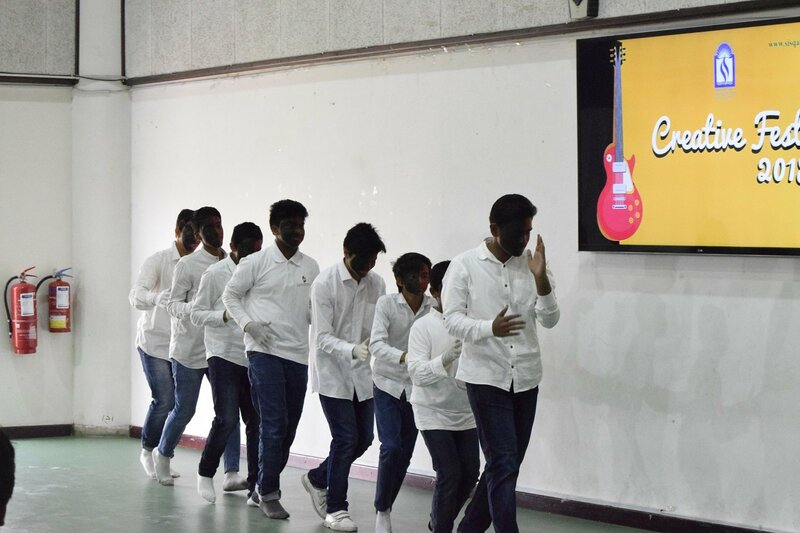 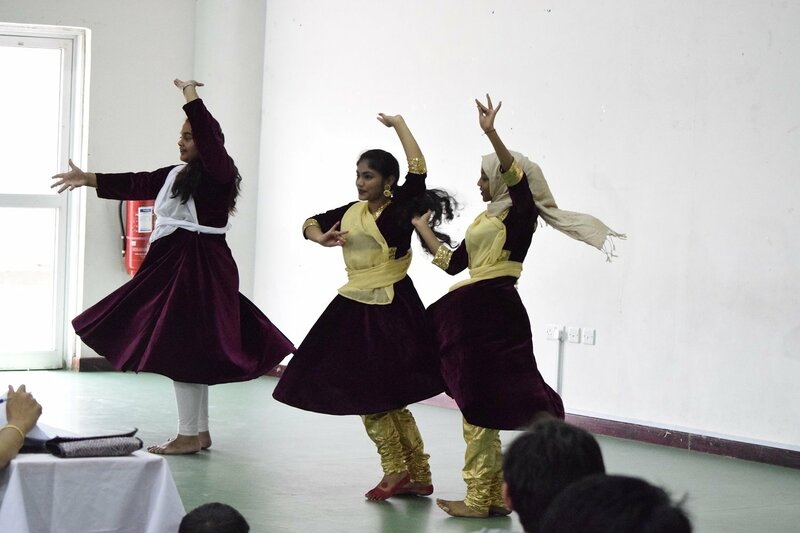 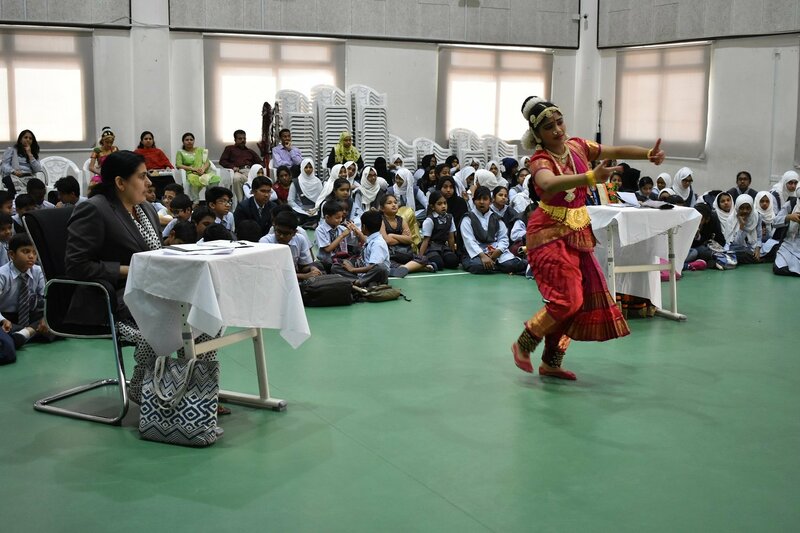 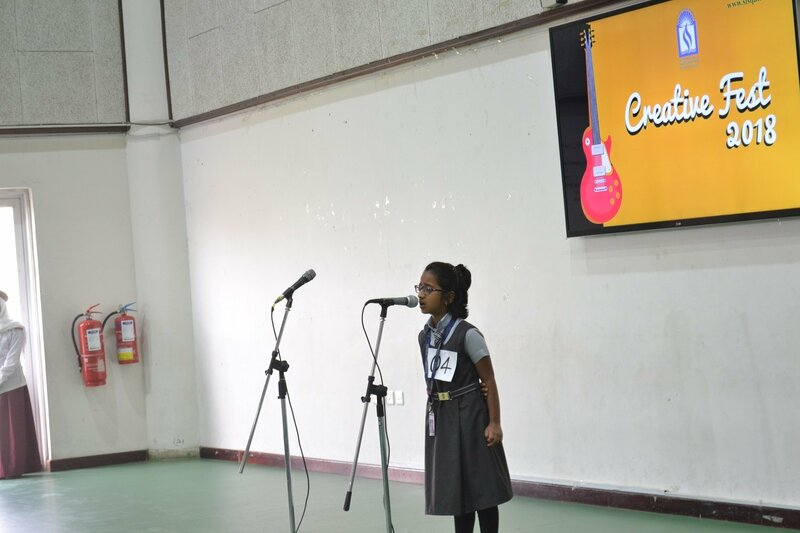 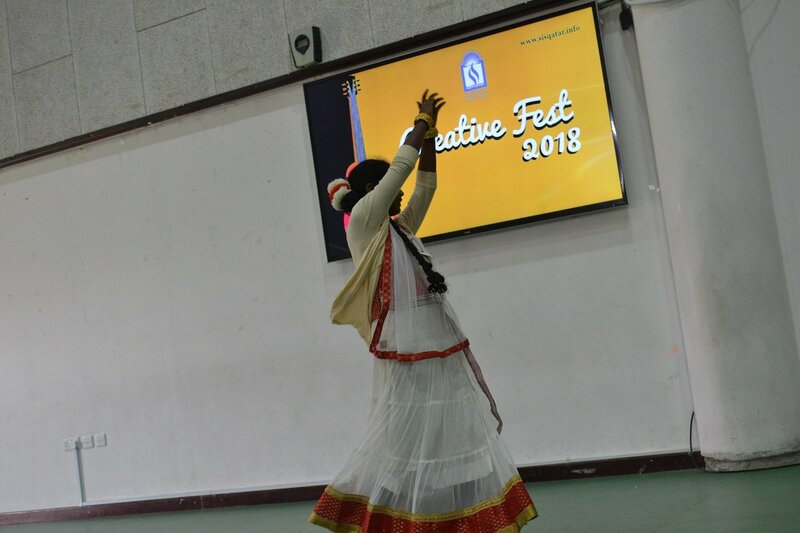 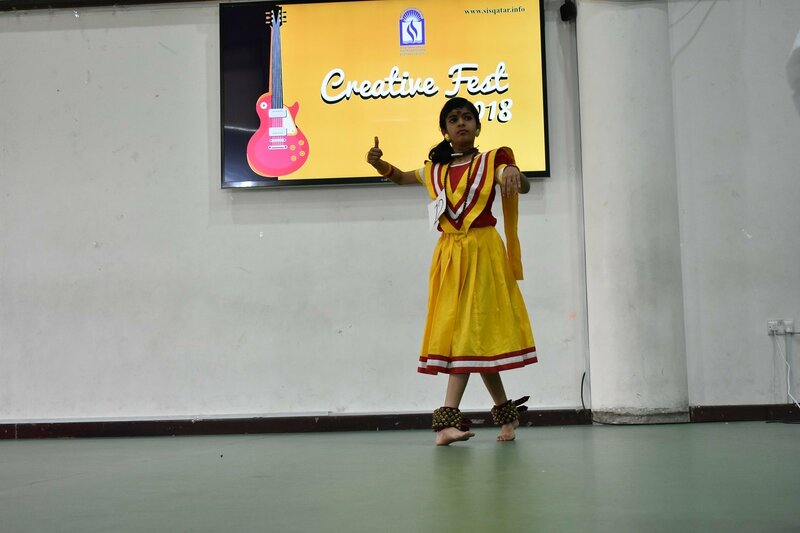 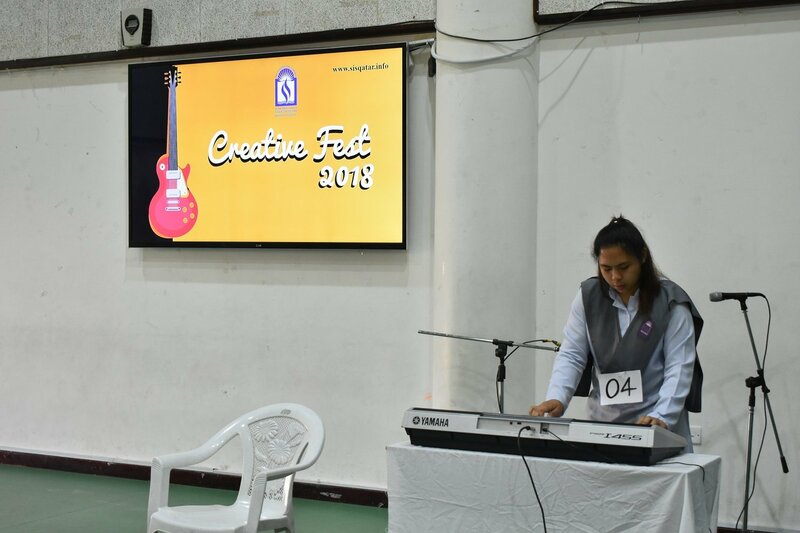 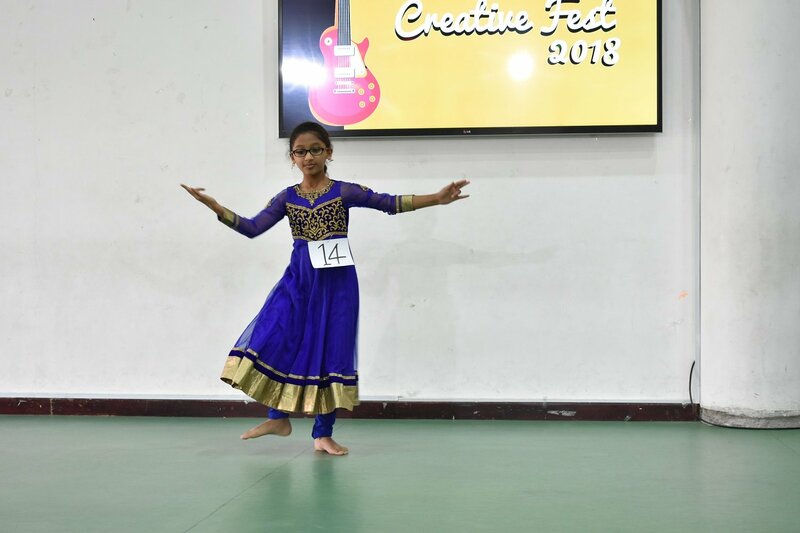 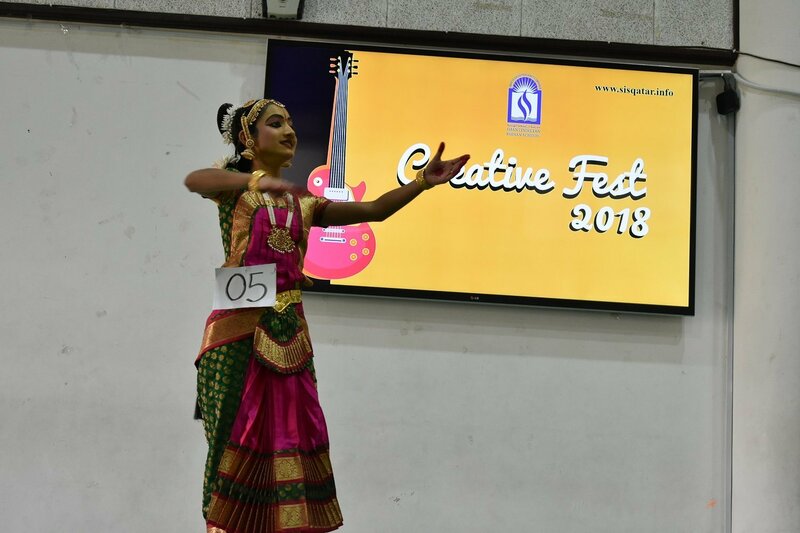 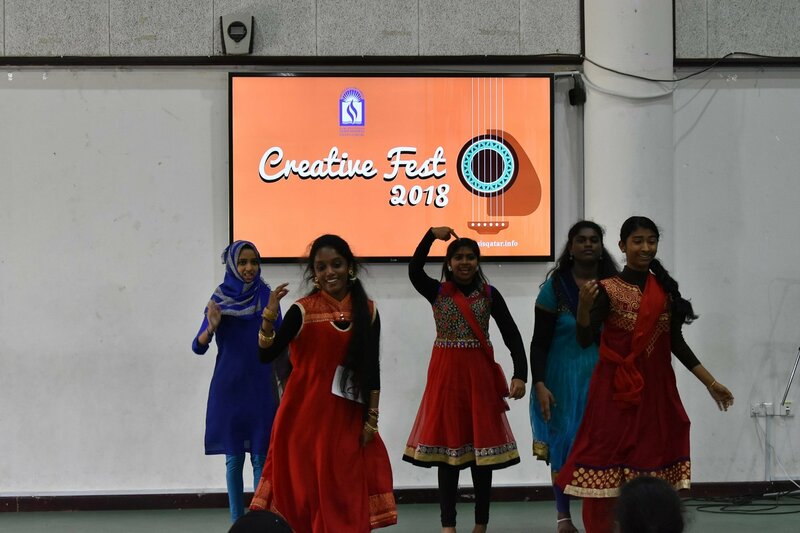 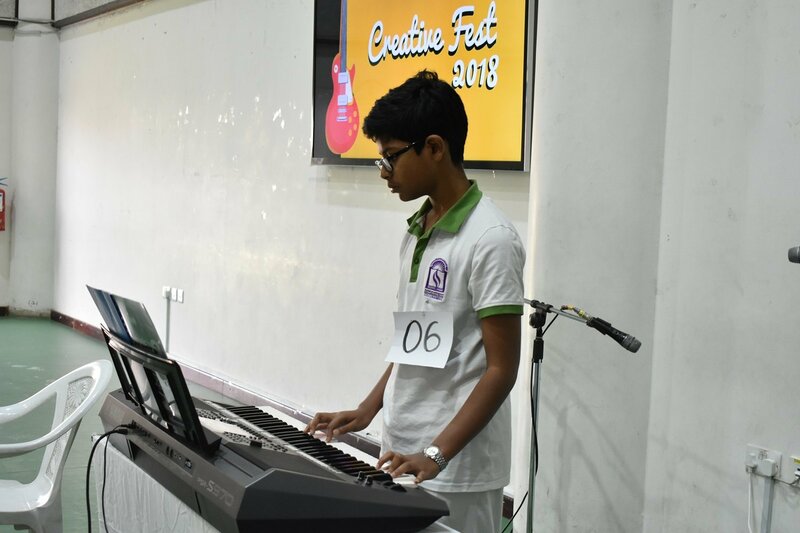 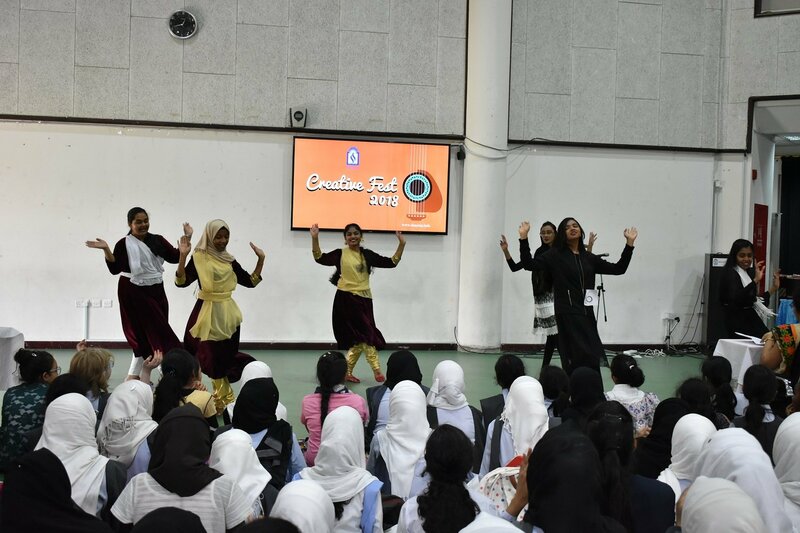 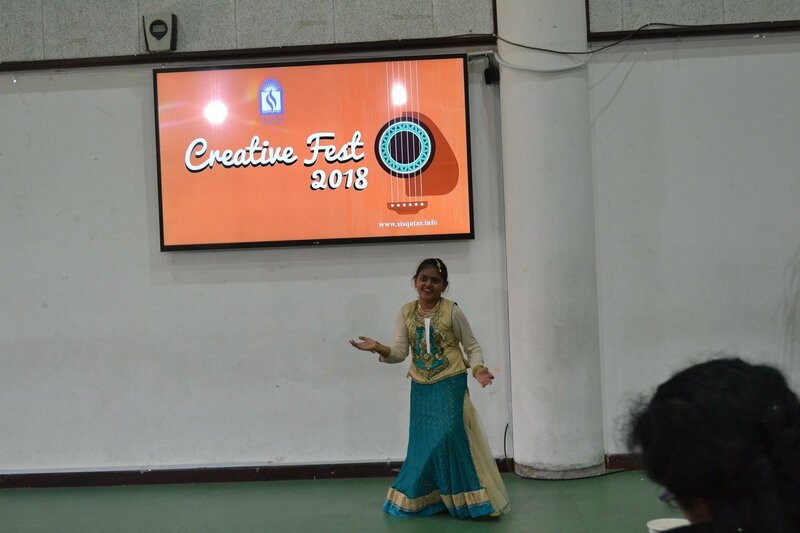 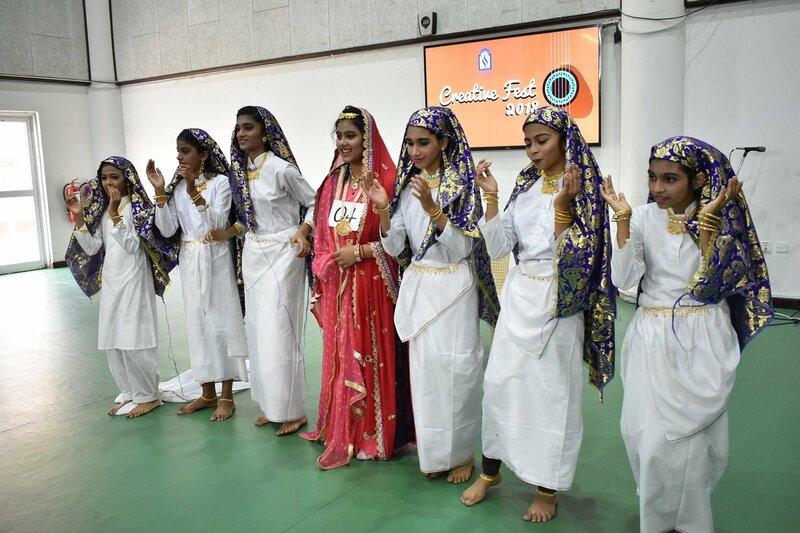 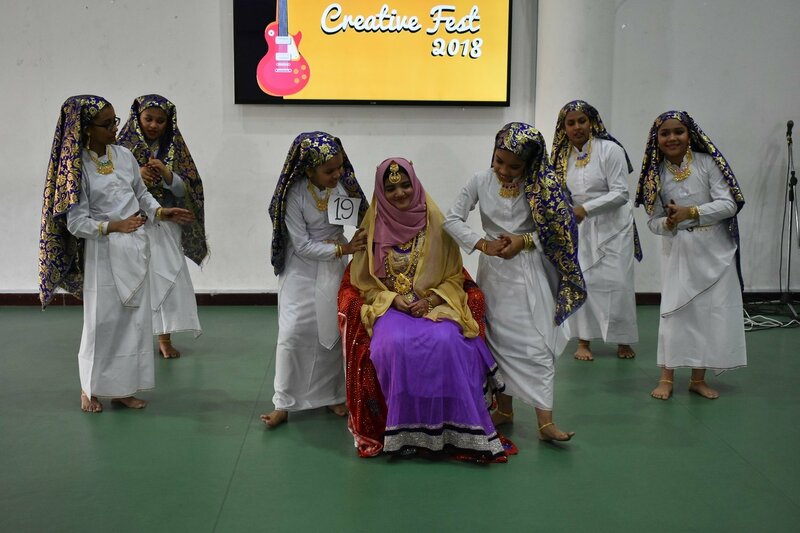 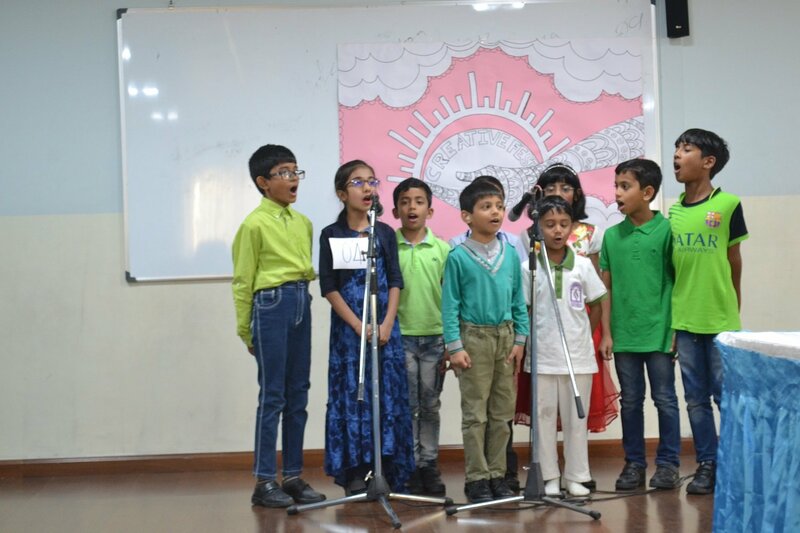 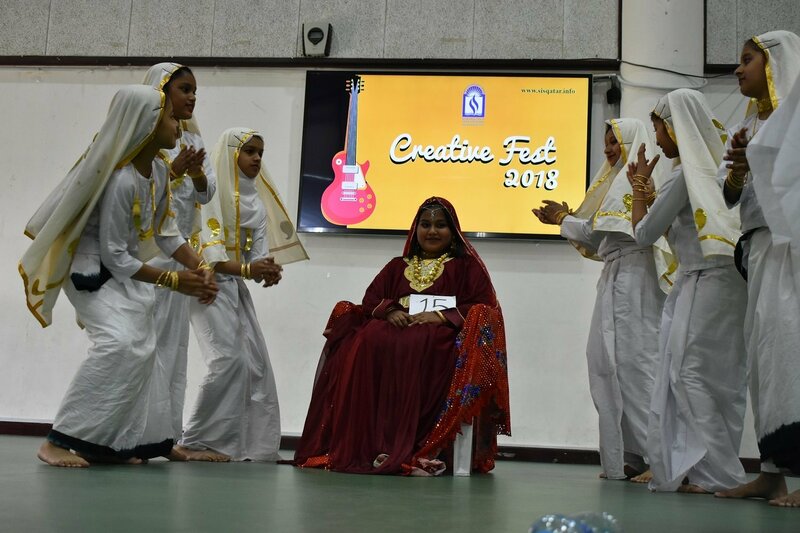 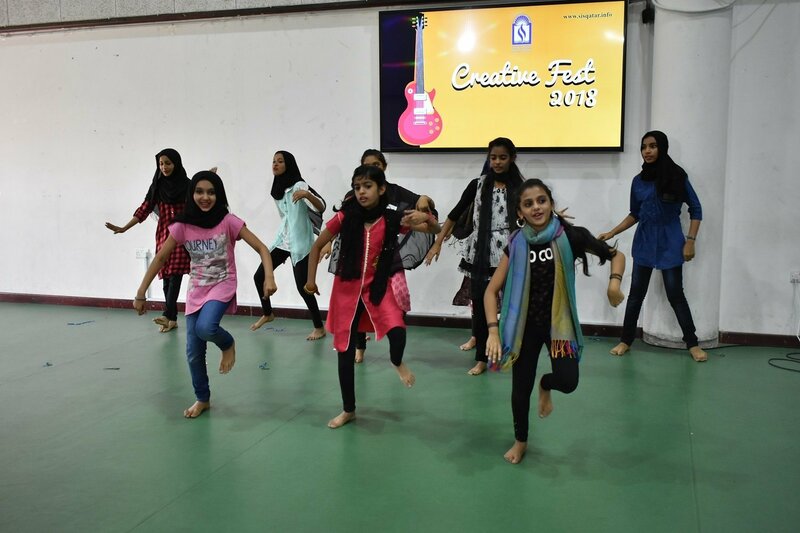 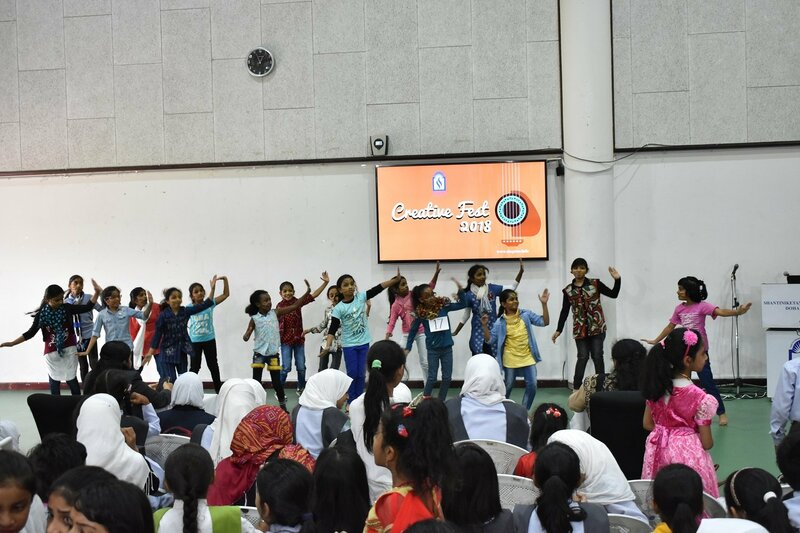 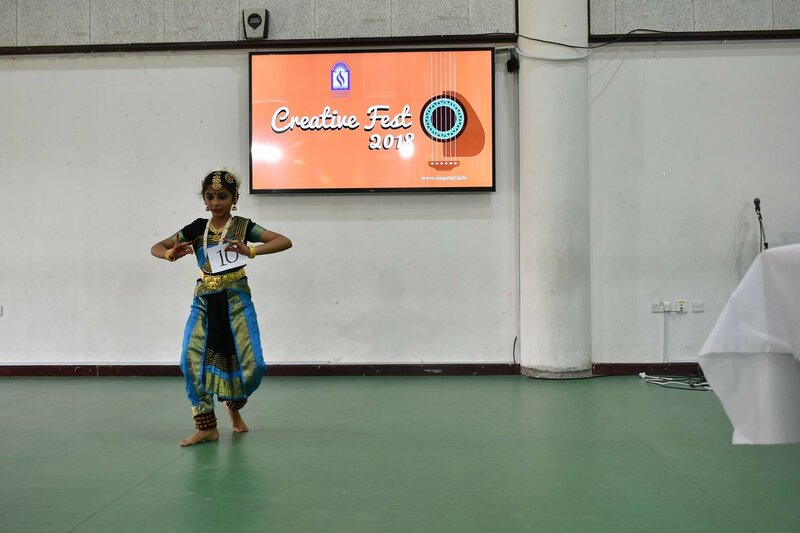 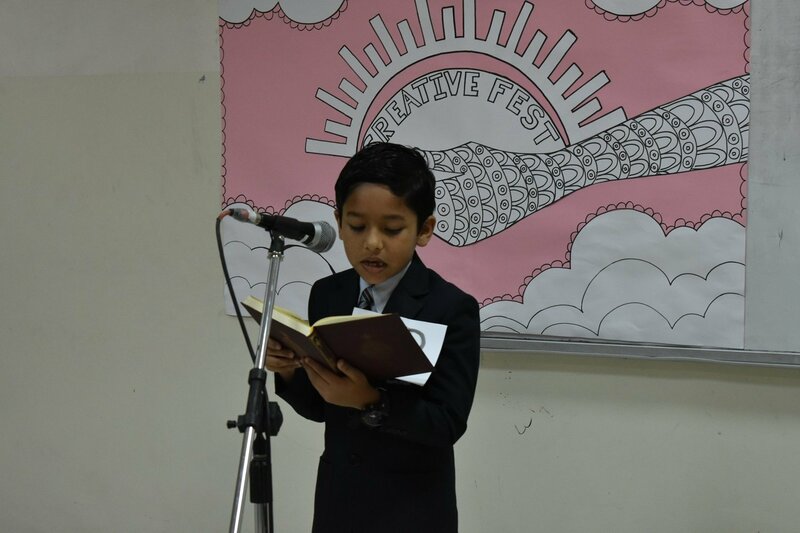 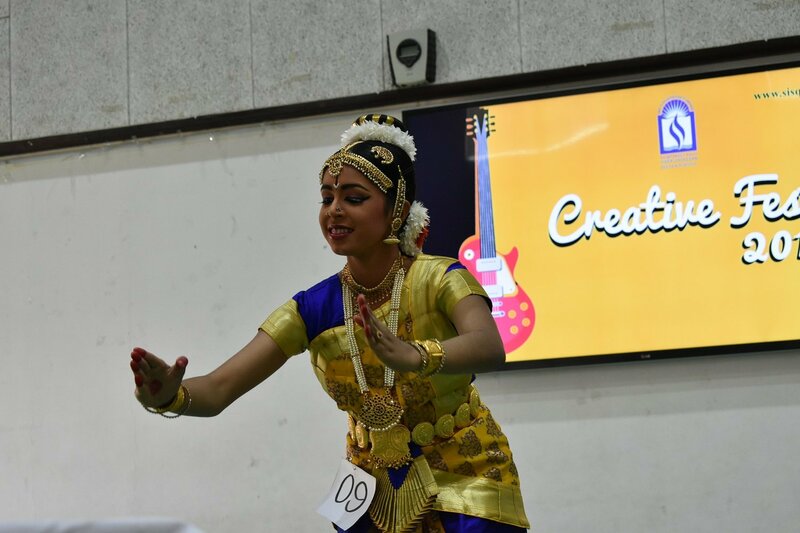 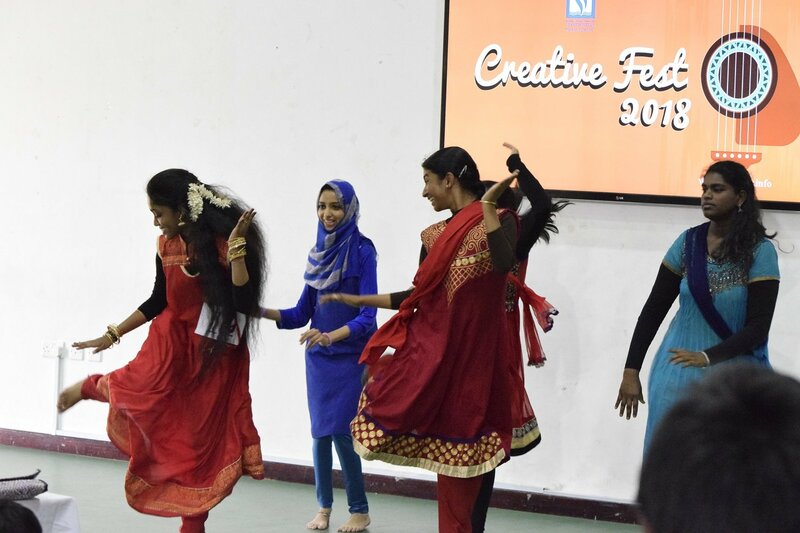 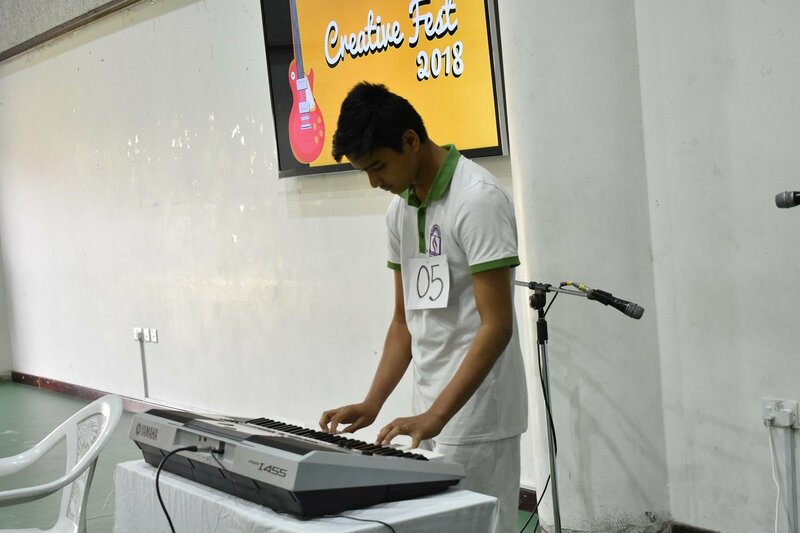 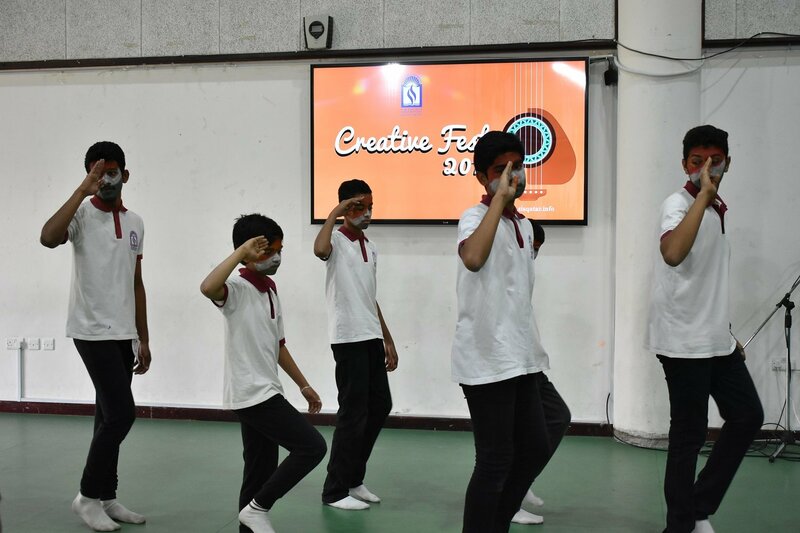 Shantiniketan Indian School celebrated its one of the biggest cultural spectacular ‘creative fest 2018’ during the month of May amidst great zest, vibrancy and elation. 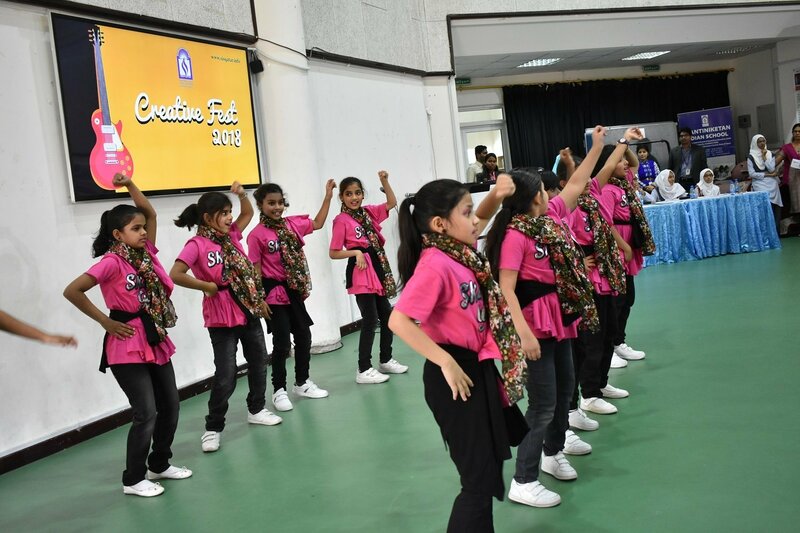 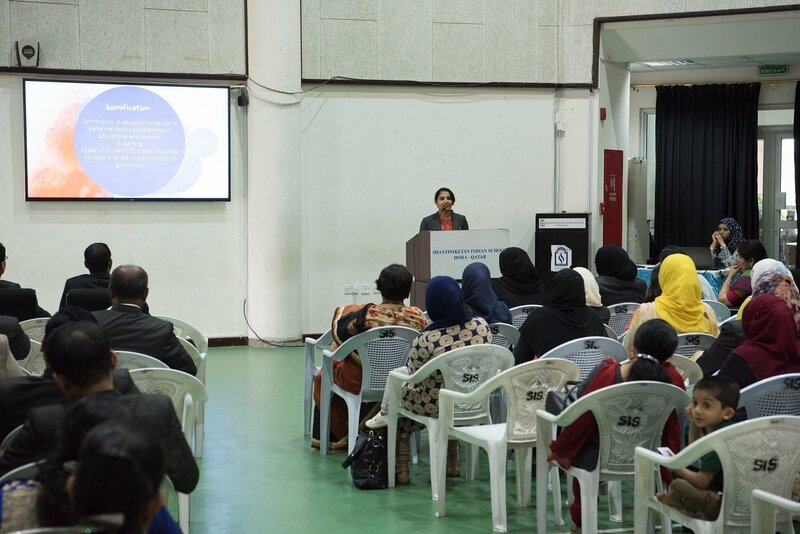 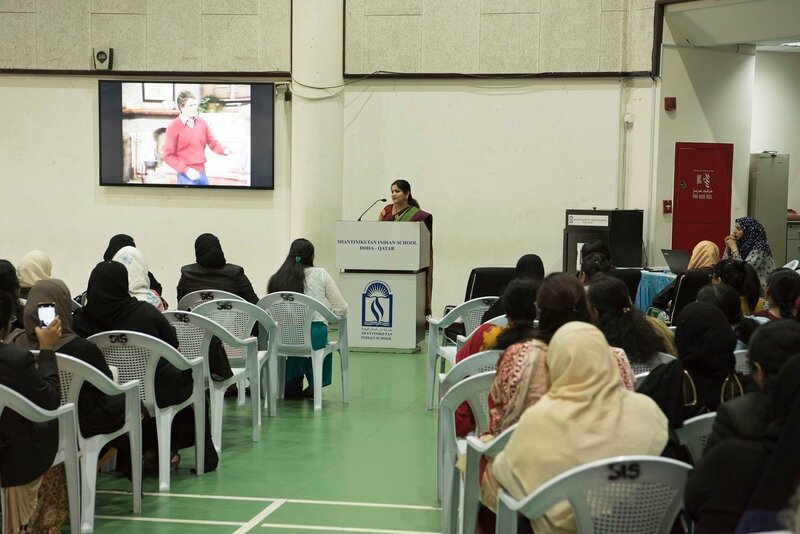 The purpose of the program was to recognize children’s abilities and talents through an array of entertaining programs. 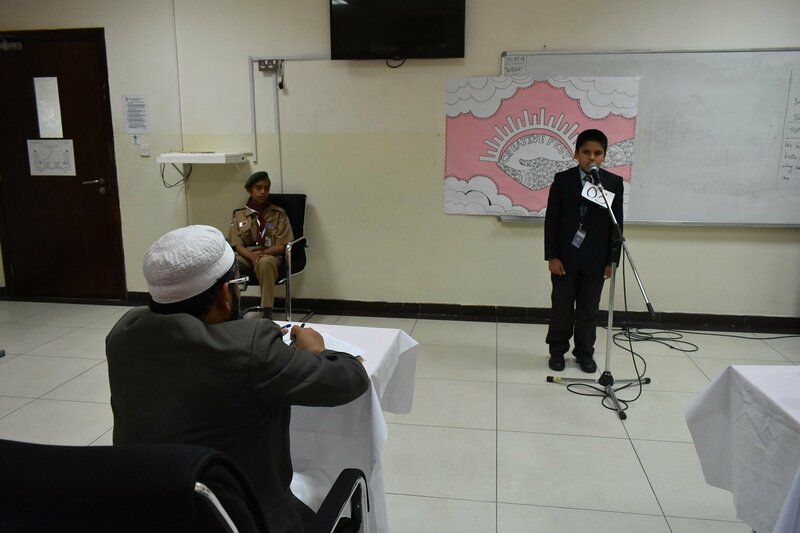 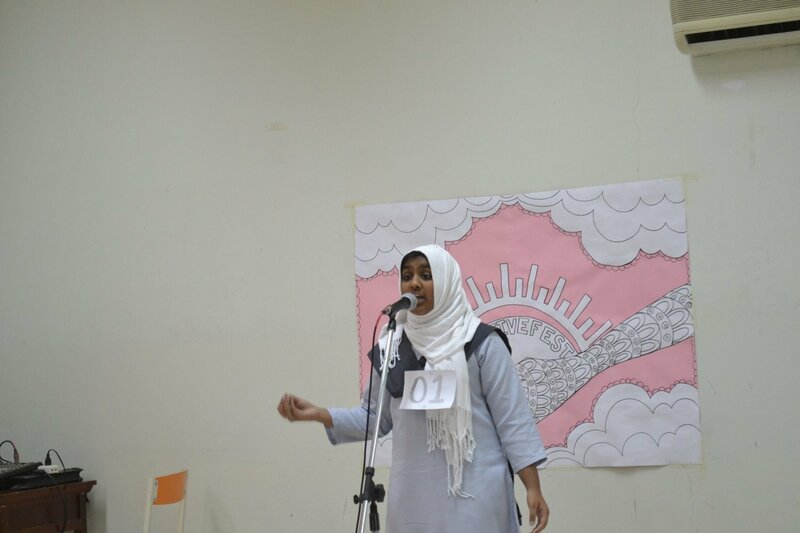 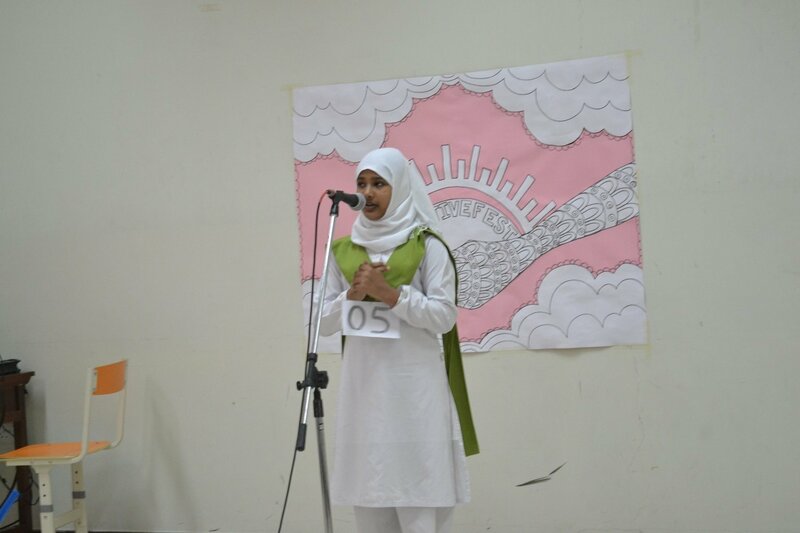 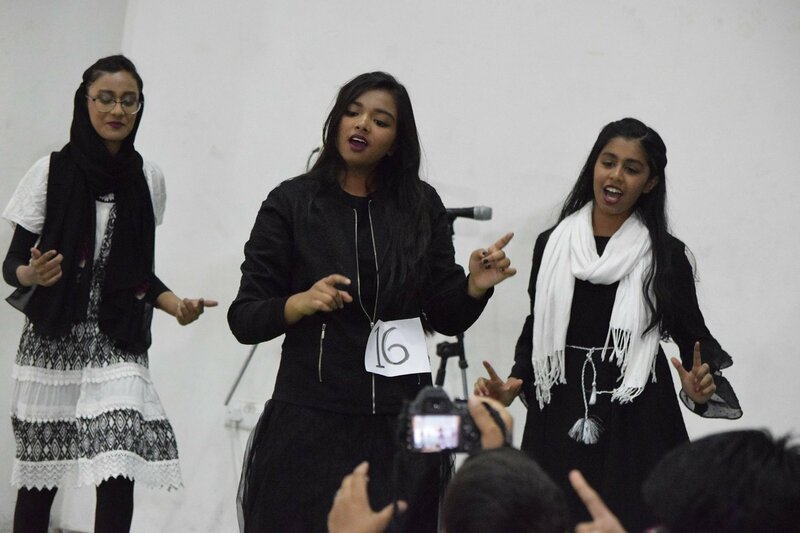 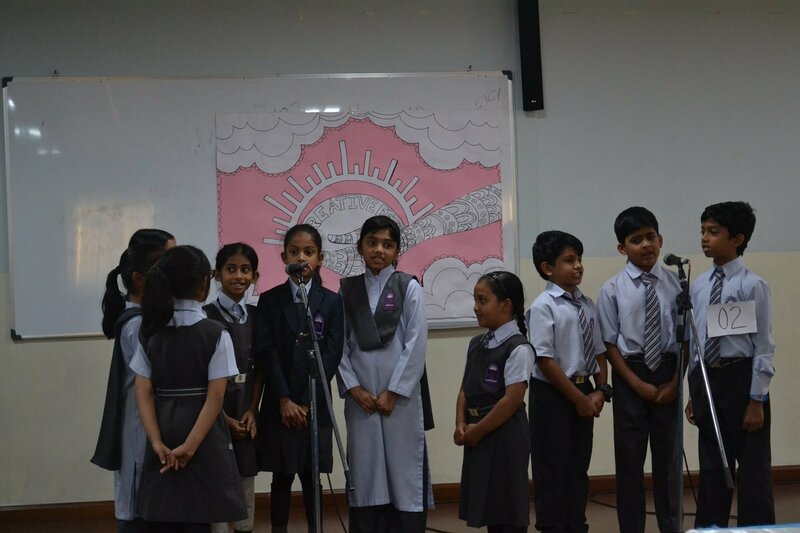 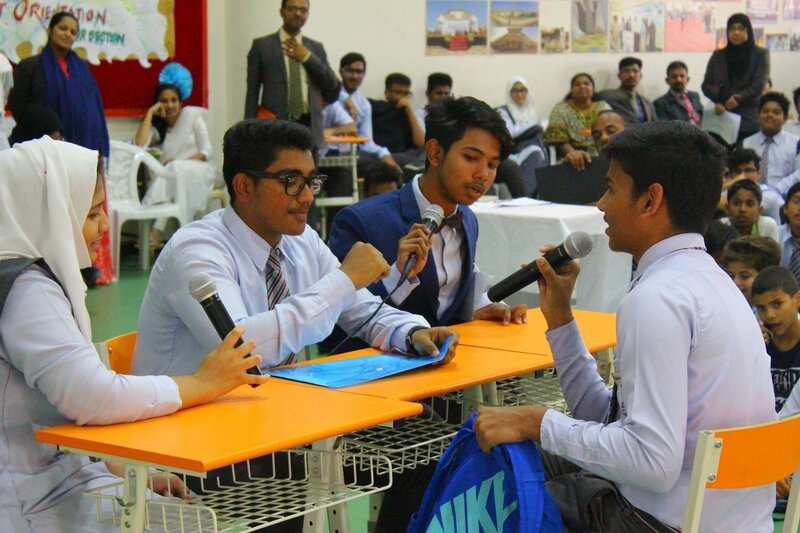 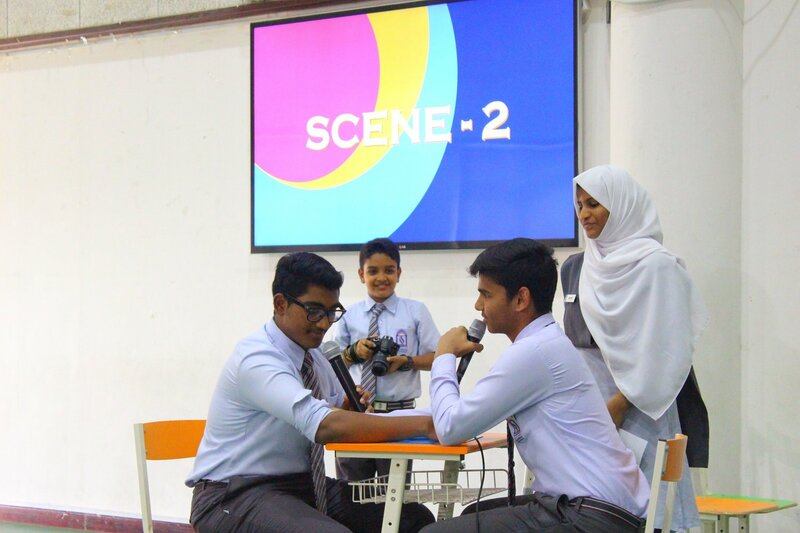 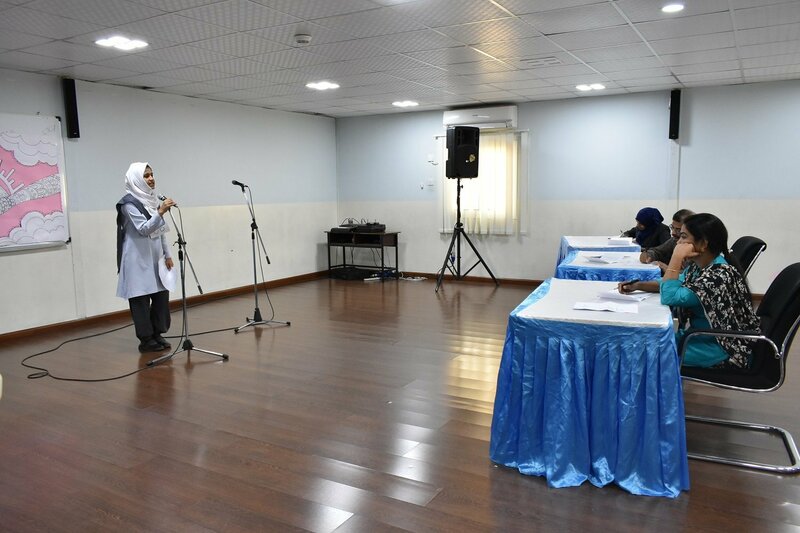 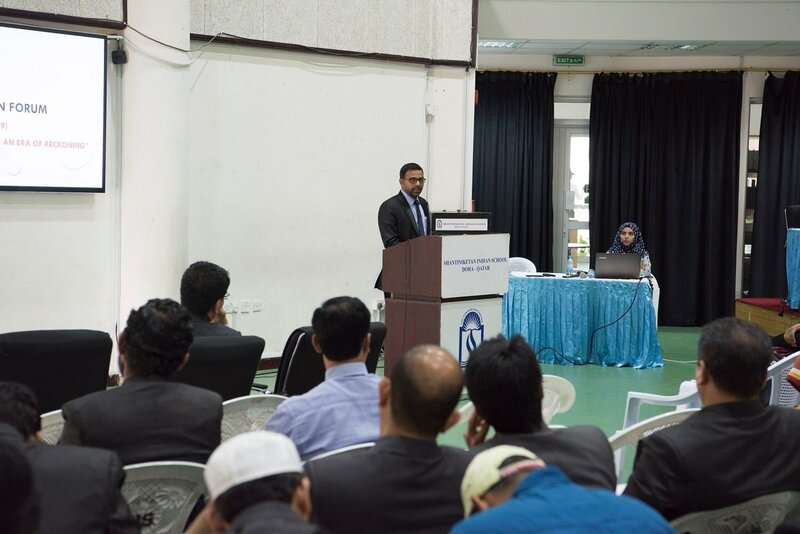 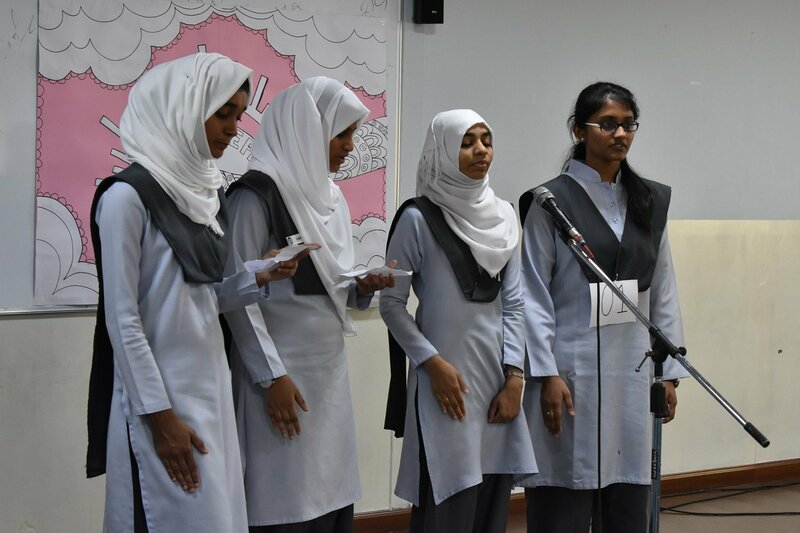 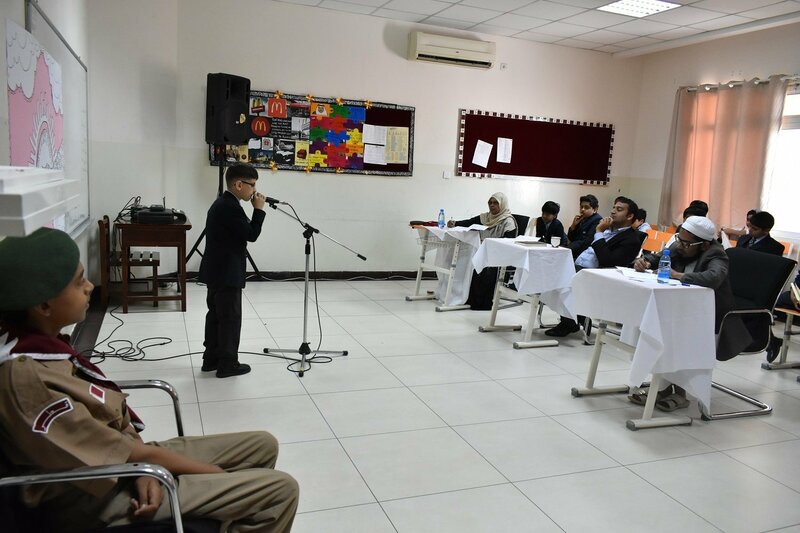 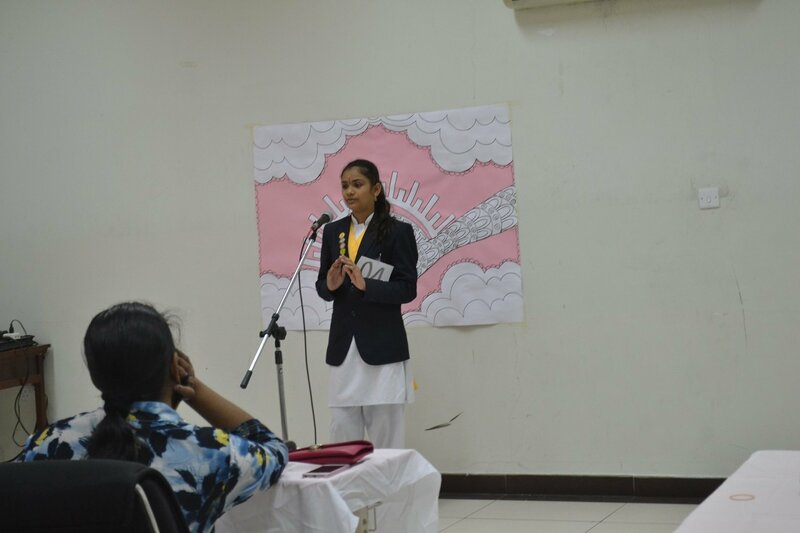 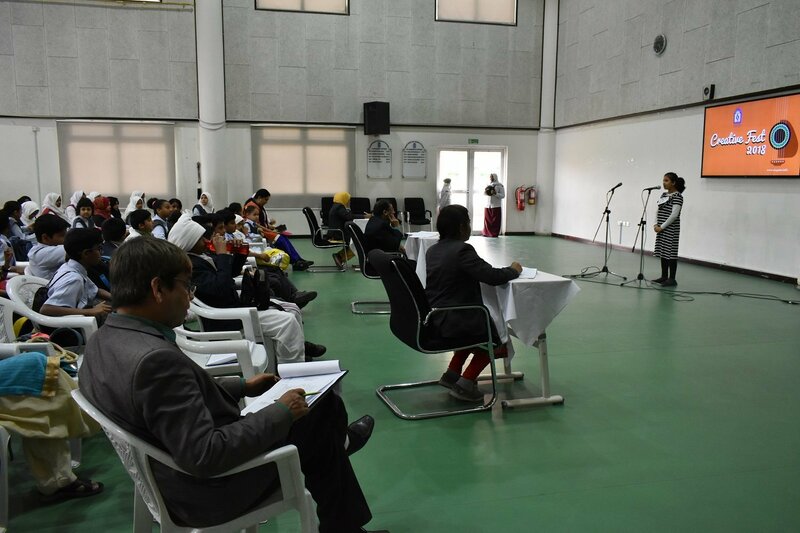 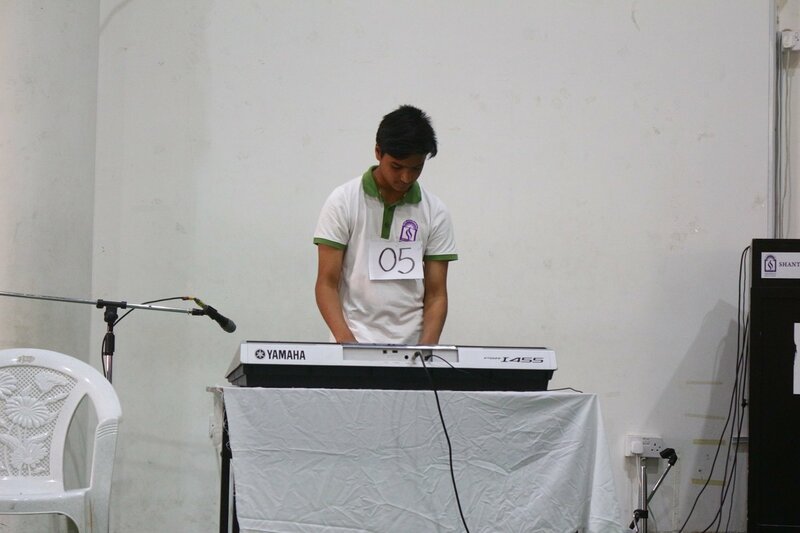 The event was conducted as an inter house competition. 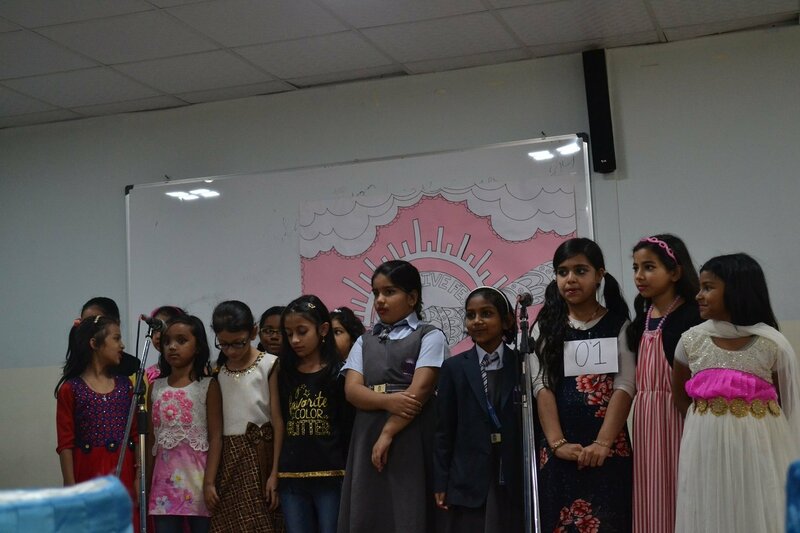 Students were clustered into five categories as per their age. 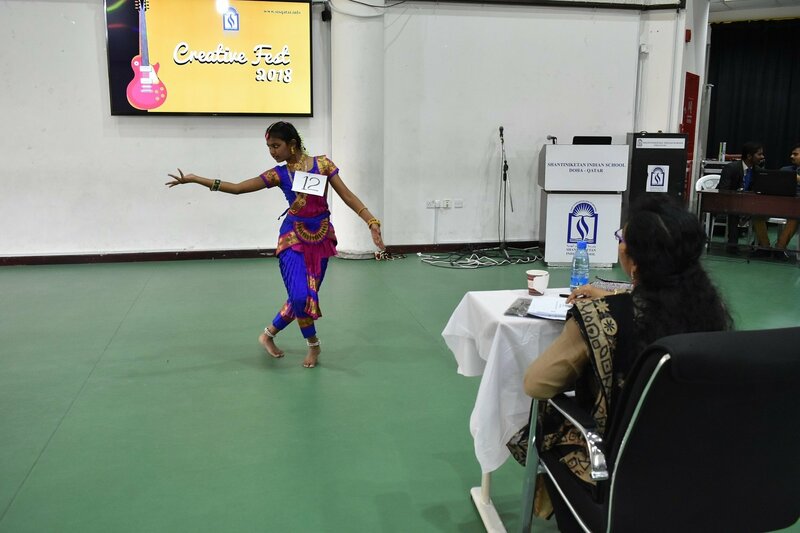 Competitions were held distinctly for each category. 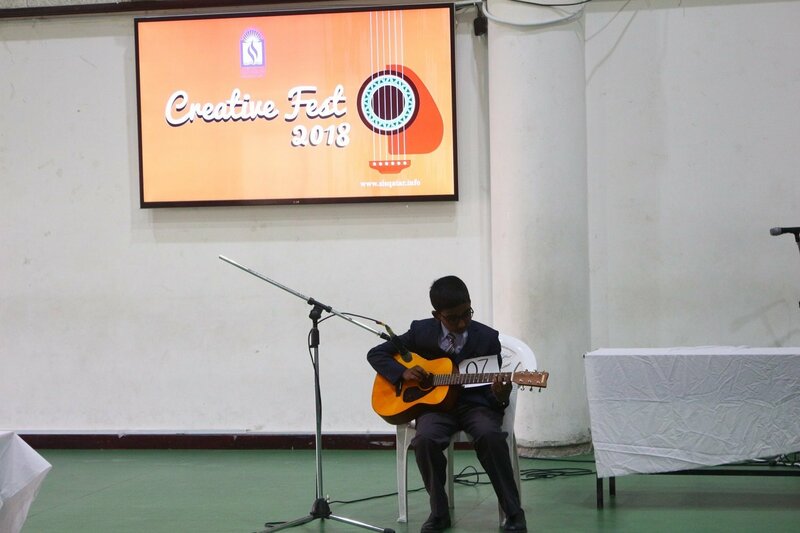 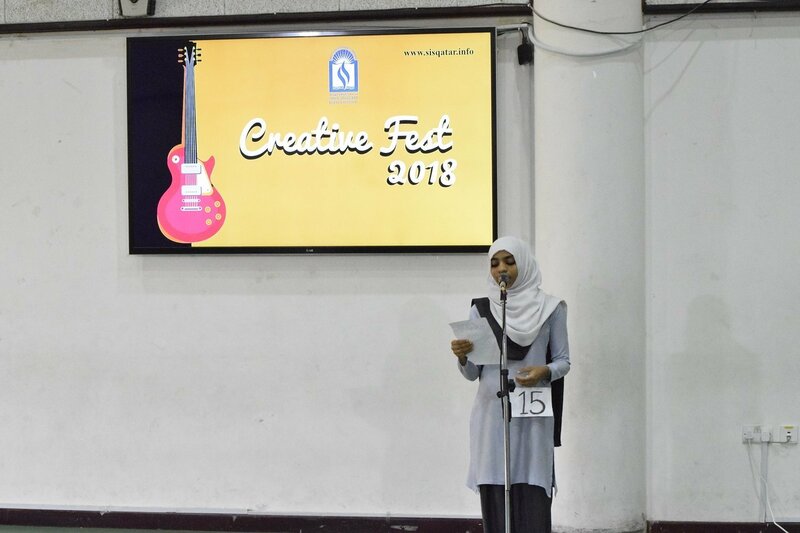 Events in the creative fest were stage events and off stage. 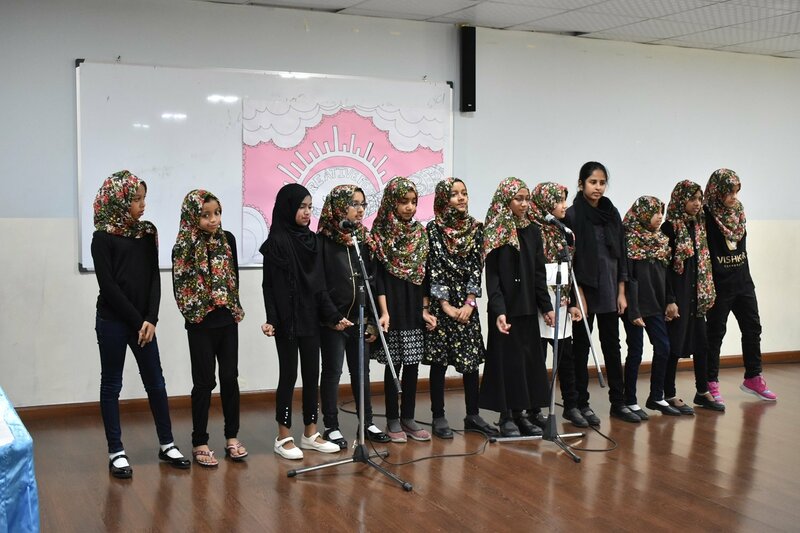 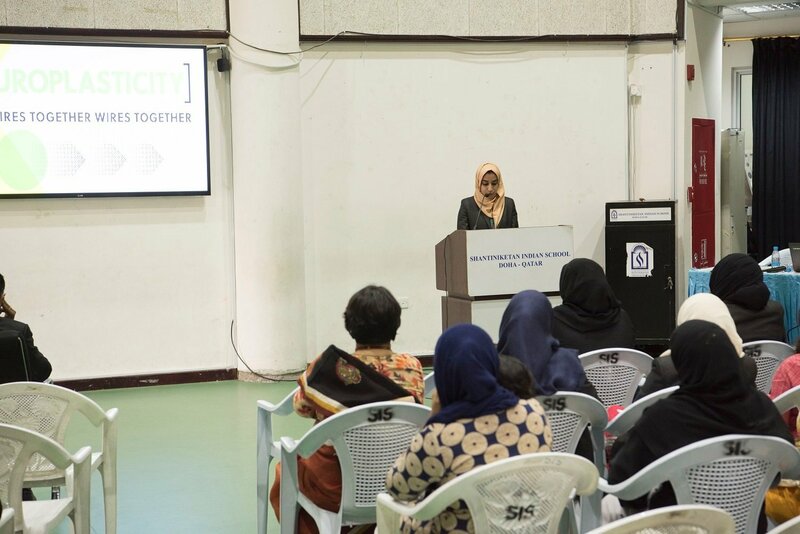 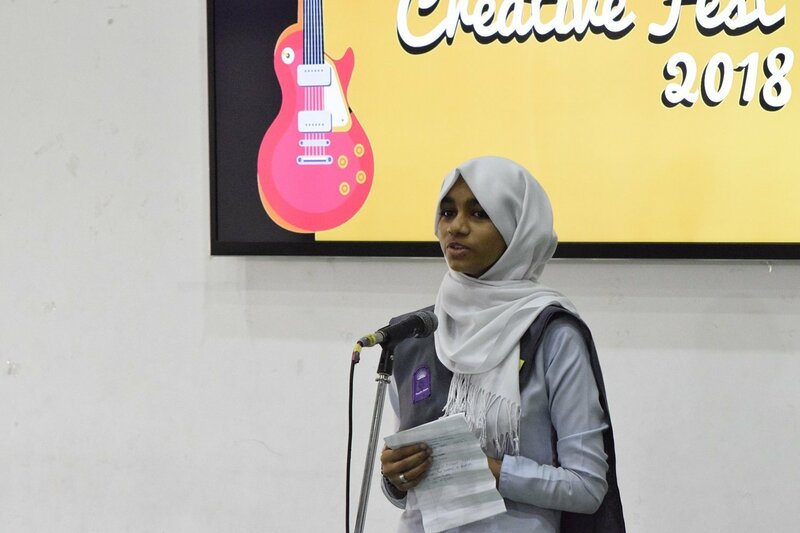 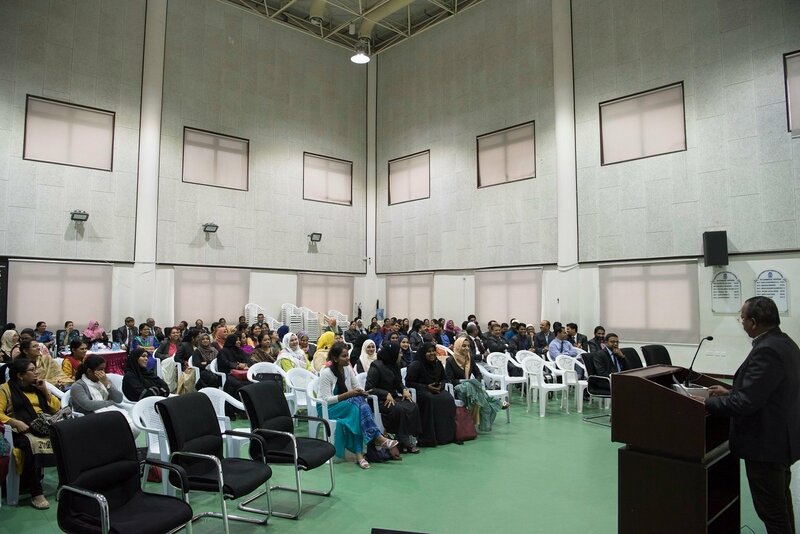 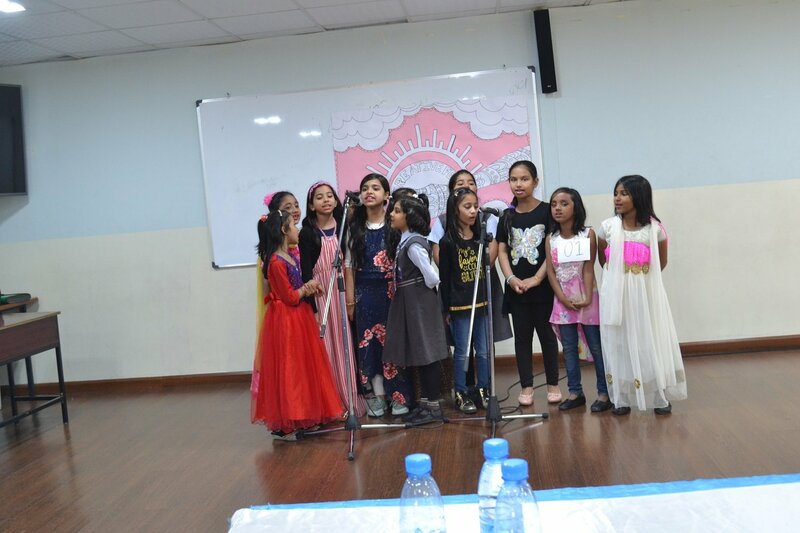 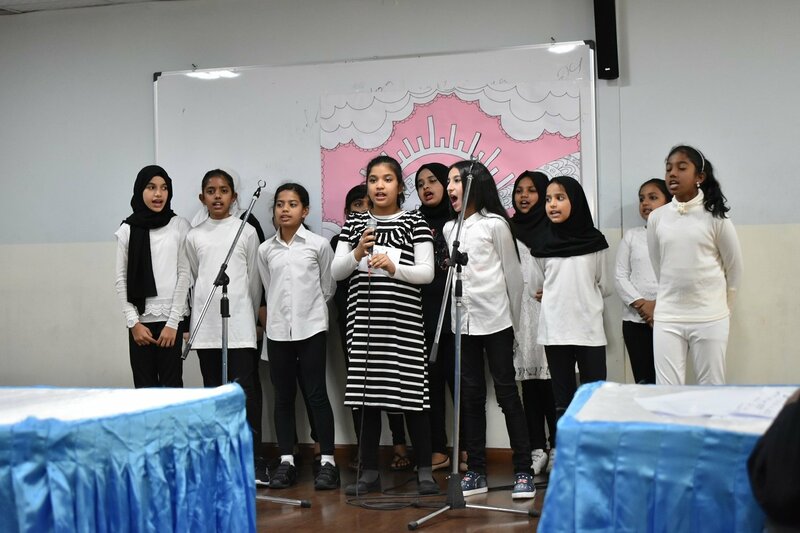 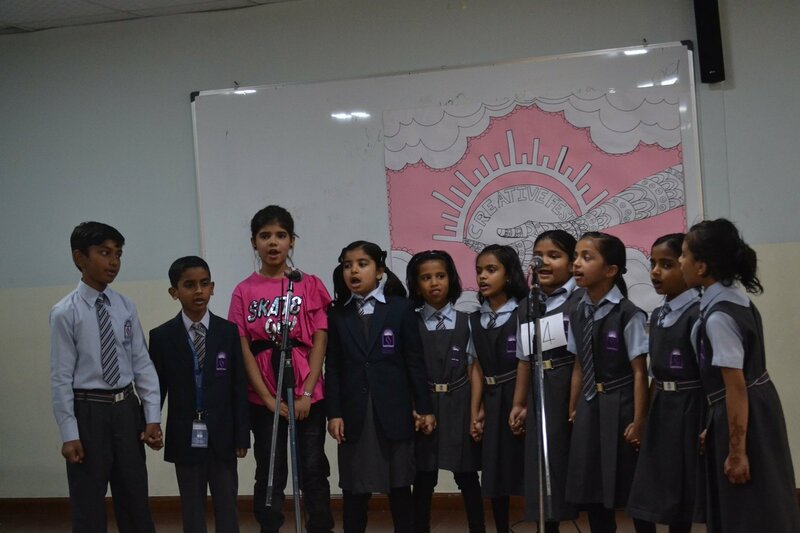 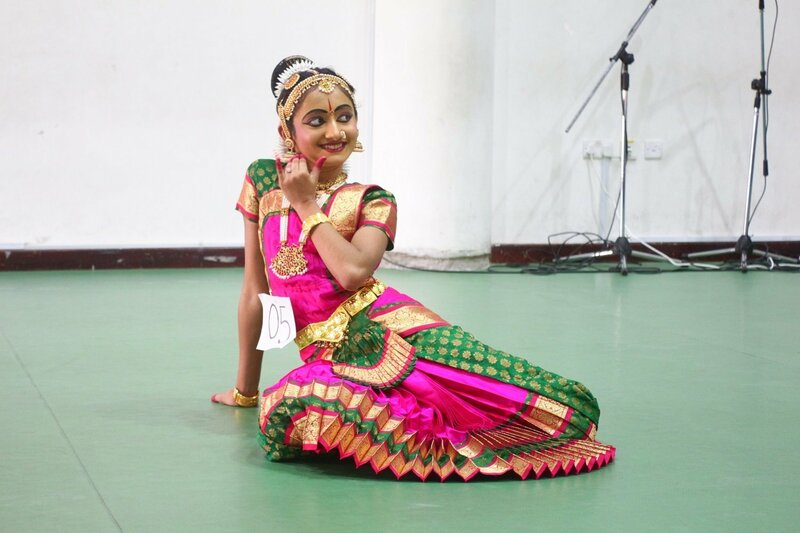 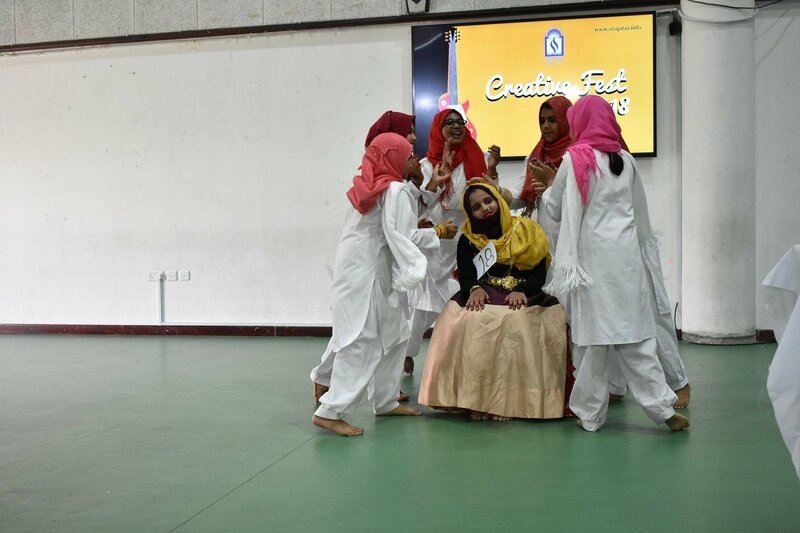 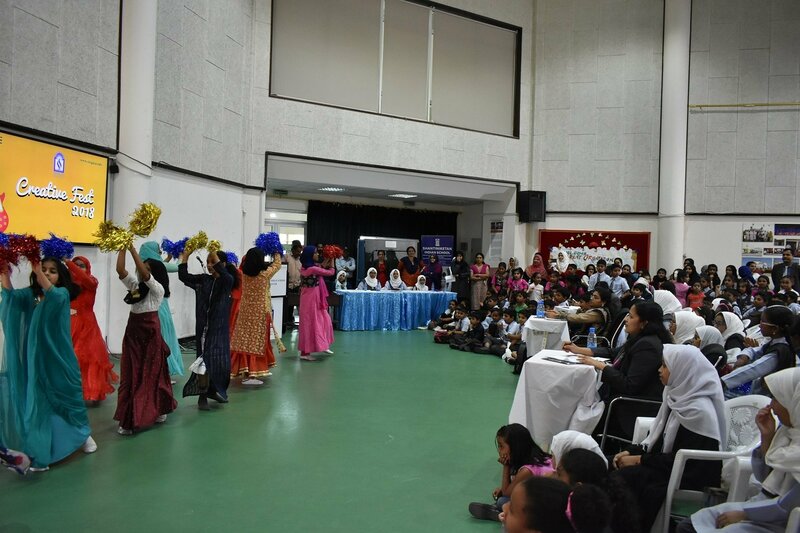 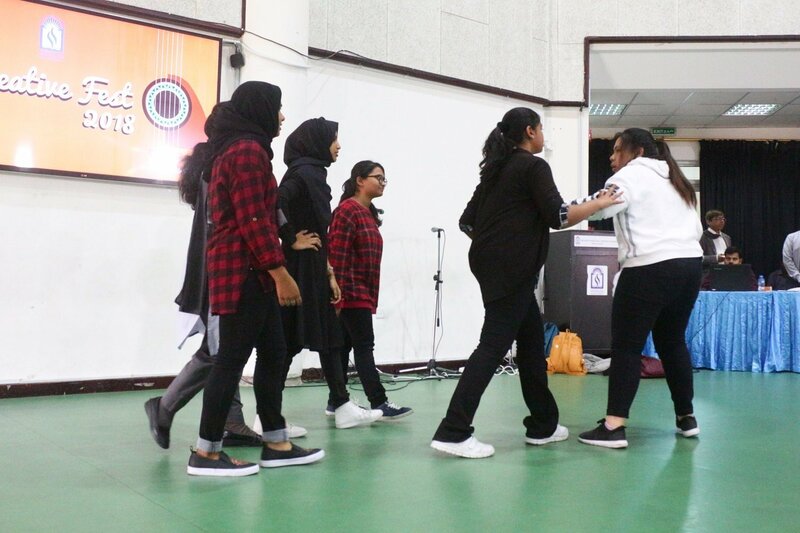 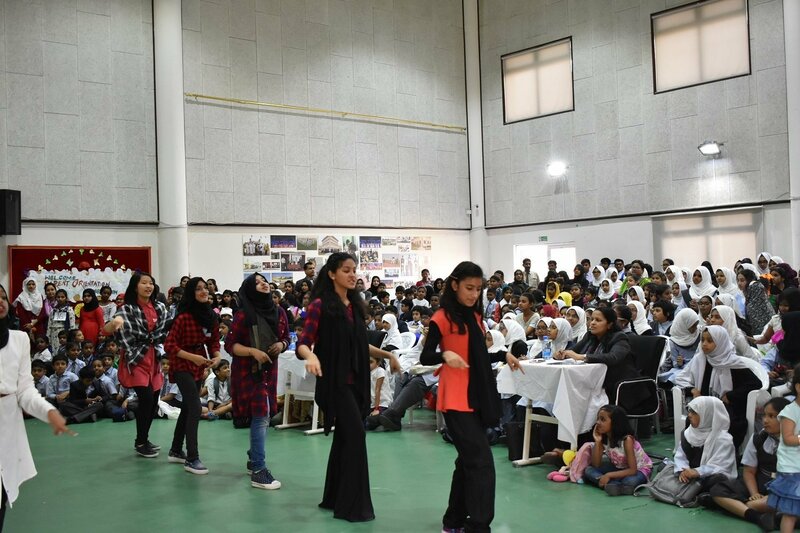 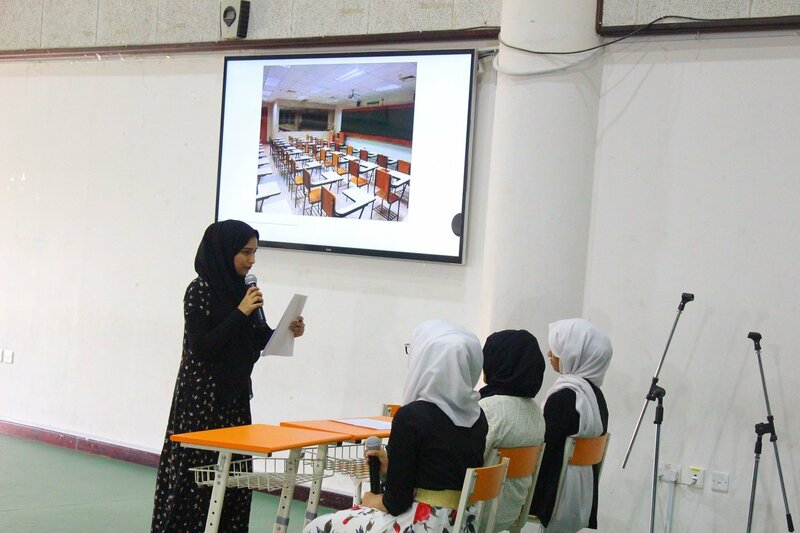 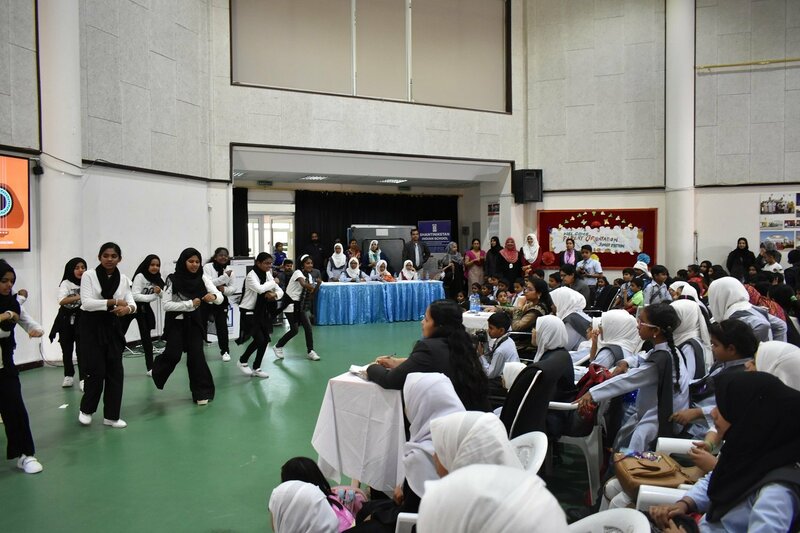 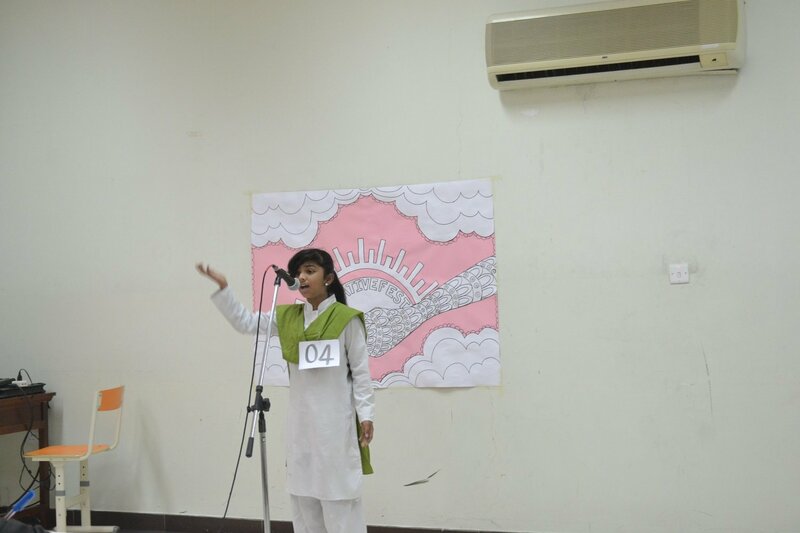 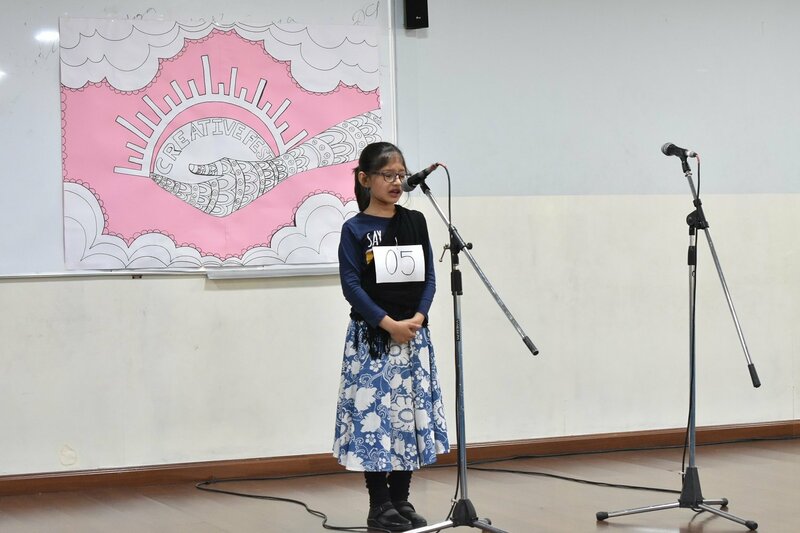 The program began with childrens’ exhibition of their hidden talents and emotions through various performances. 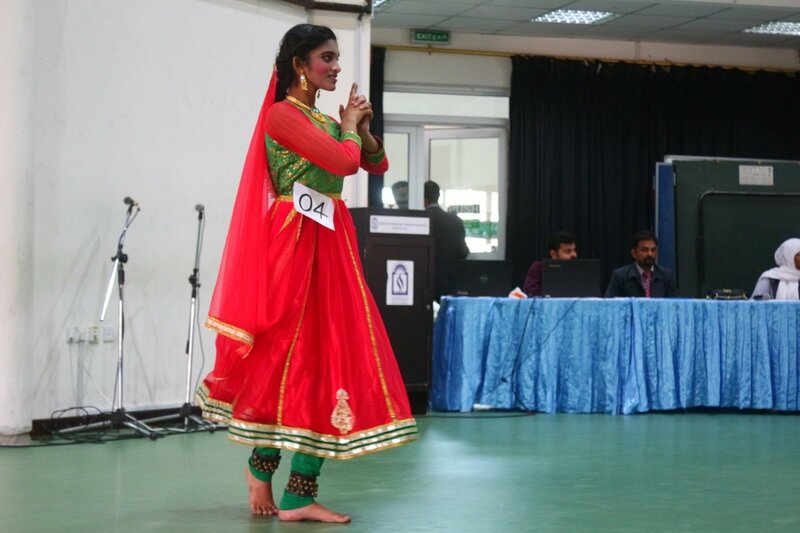 The stage items embraced of various events of cultural and creative importance such as recitation (different languages), speech, Holy Quran memorization and interpretation, vocal music, light music, classical music, instrumental music, classical dance, folk dance, group dance, oppana, mappilapattu, mimicry, mono act, group song, patriotic song story-telling, action song, skit and mime. 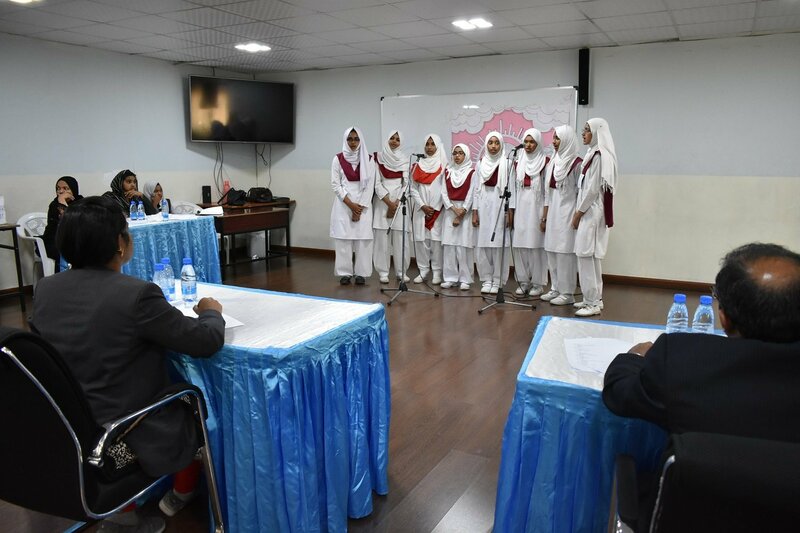 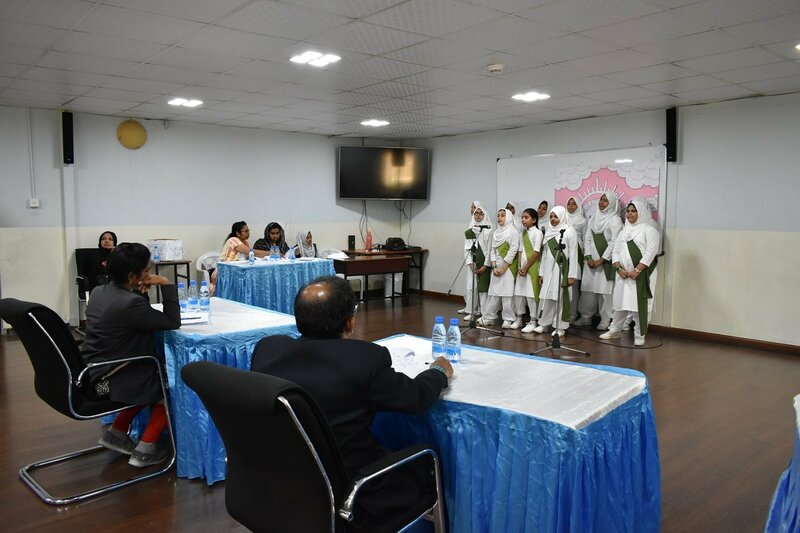 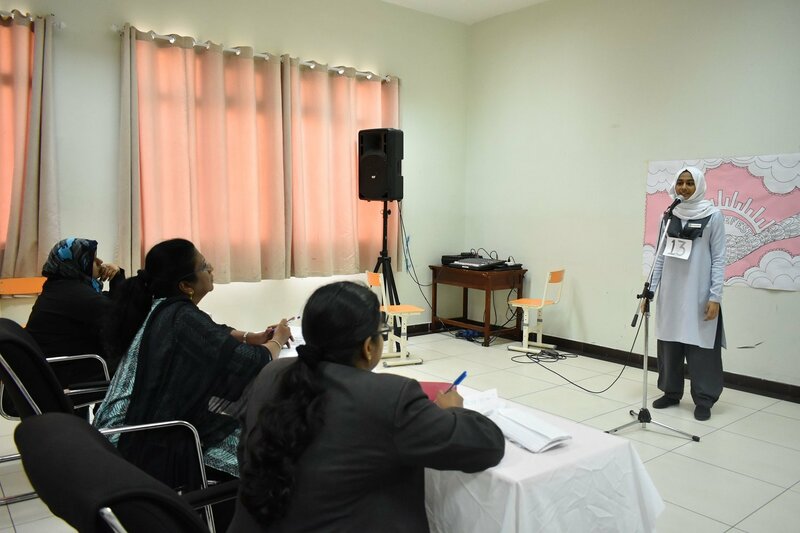 Students also actively participated in story writing, essay writing, pencil drawing PowerPoint presentation, quizzes and poster designing. 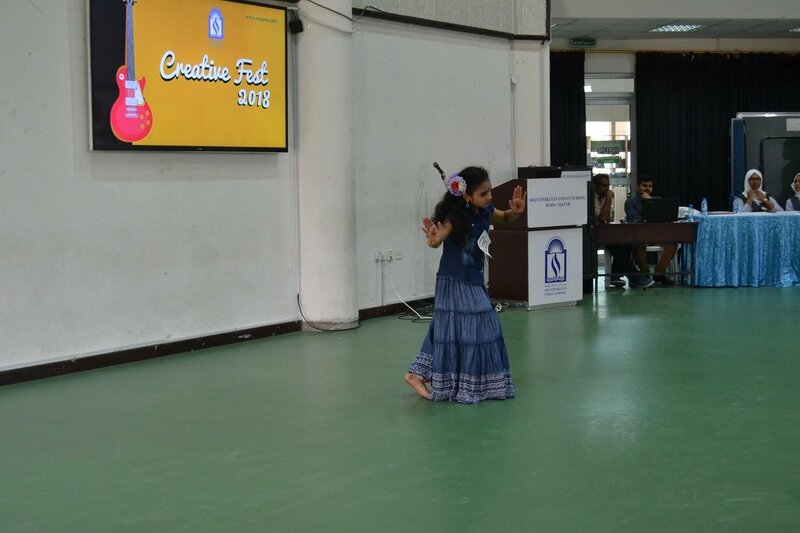 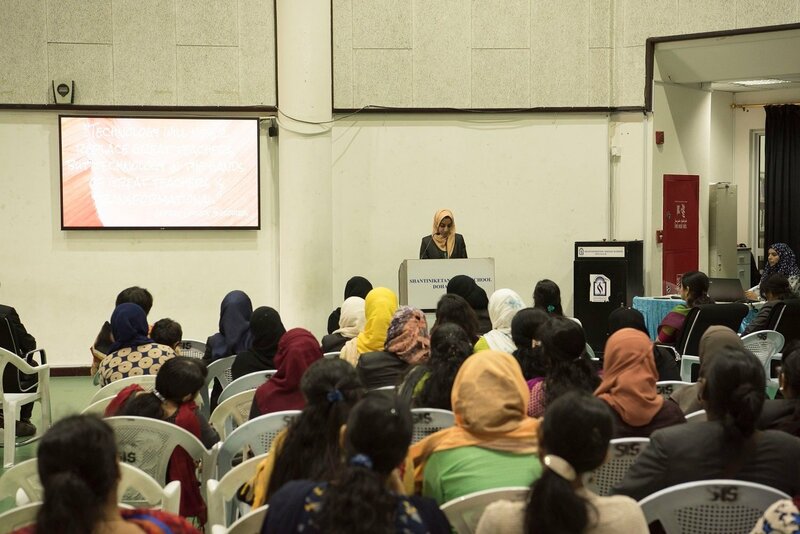 The audience was enthralled by a colourful and very well directed program throughout the day. 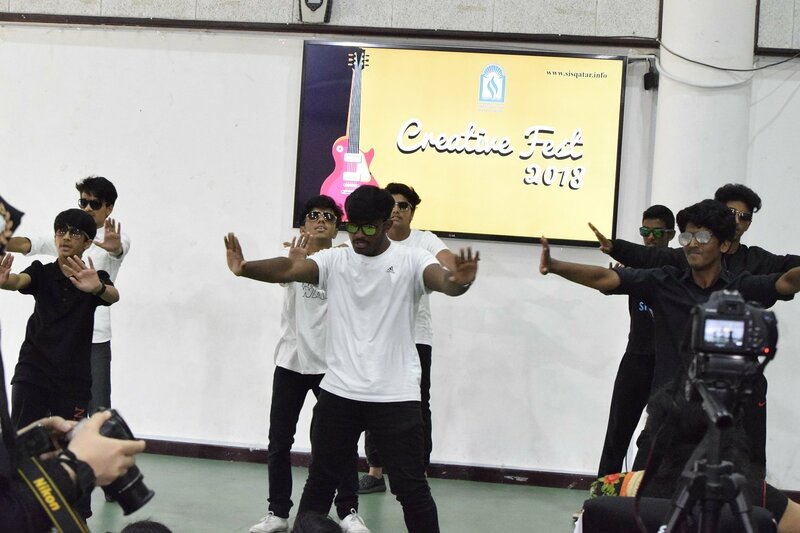 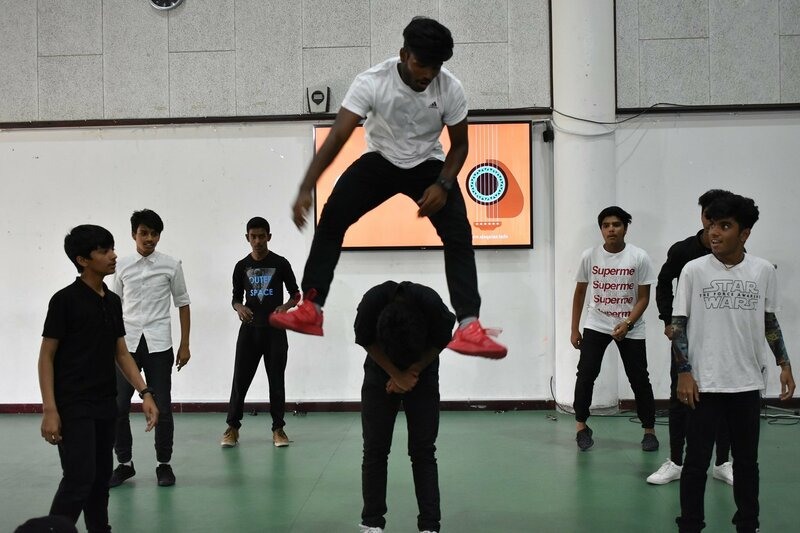 Events proved to be an occasion, full of enjoyment as well as mode to moral values and intellectual creativity and was a thrilling visual treat for everyone. 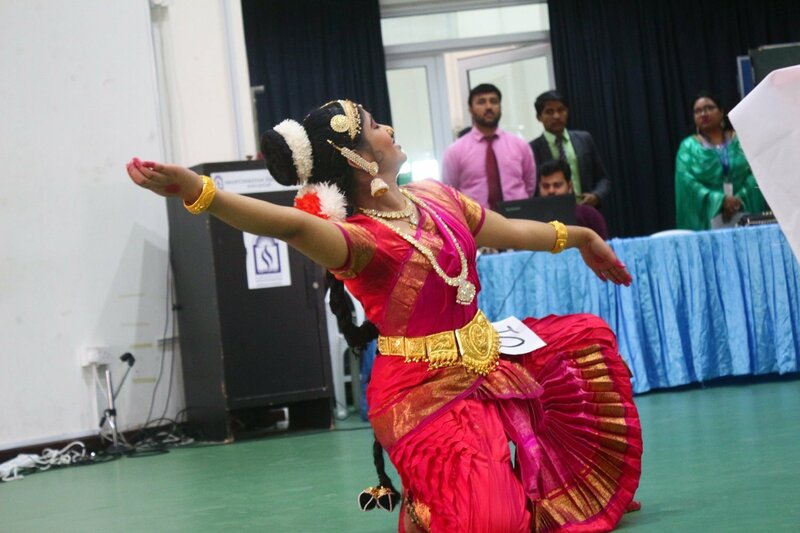 Dances presented by the graceful dancers stole the show and received a huge applause. 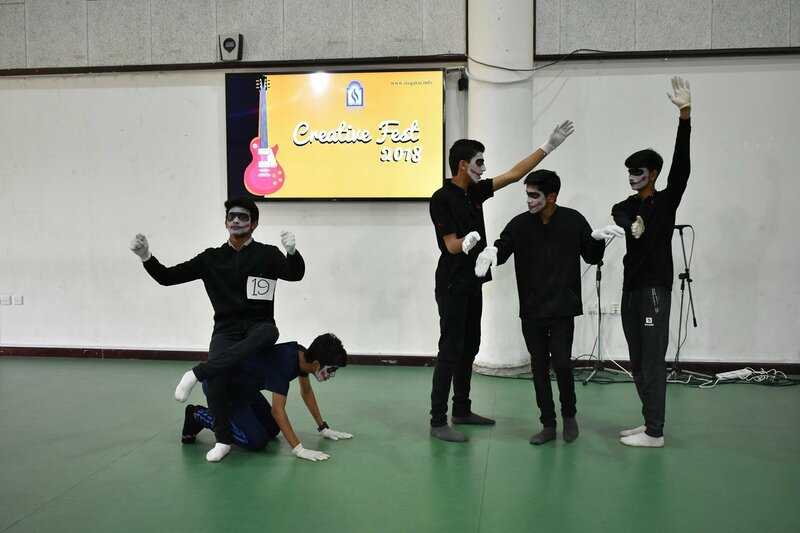 Green house emerged as the overall champions followed by Yellow house, Red house and Blue house. 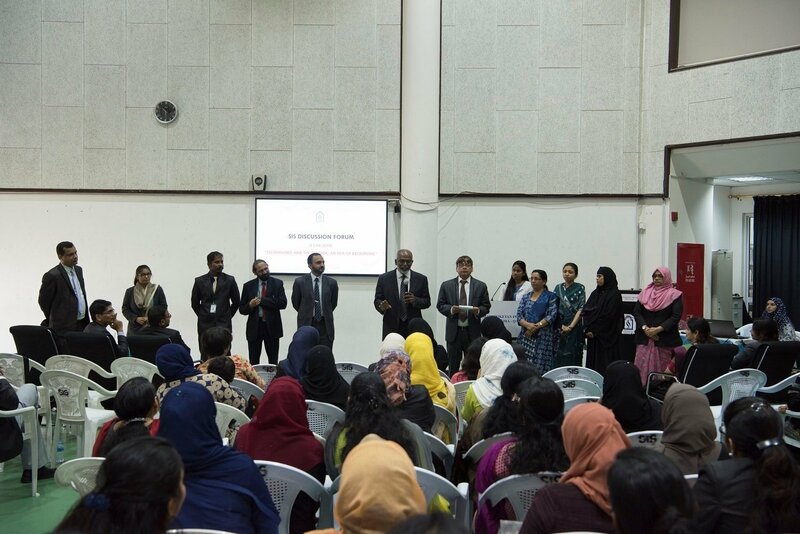 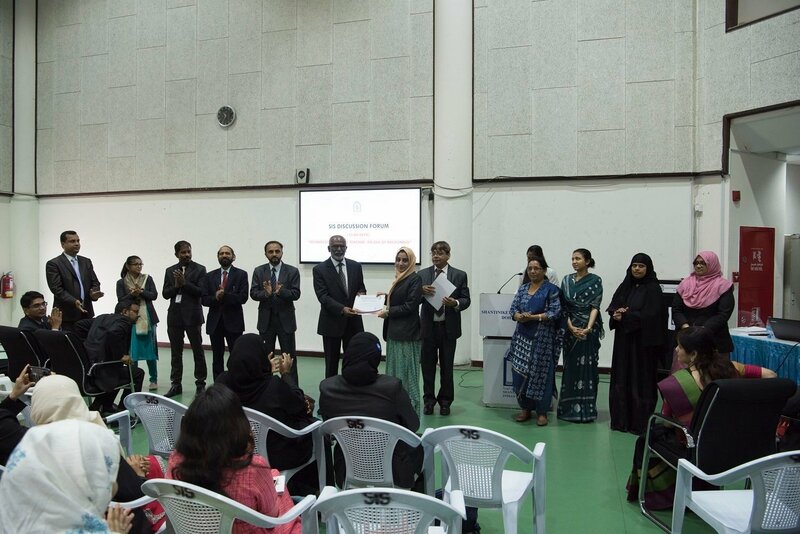 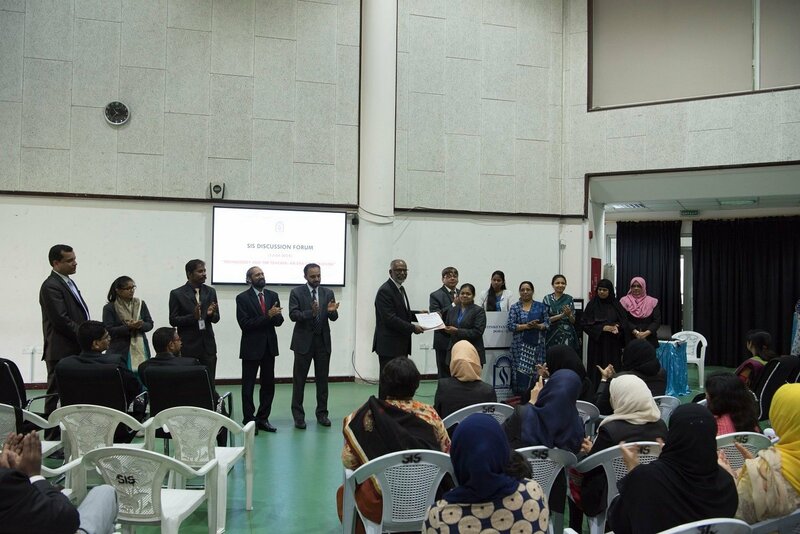 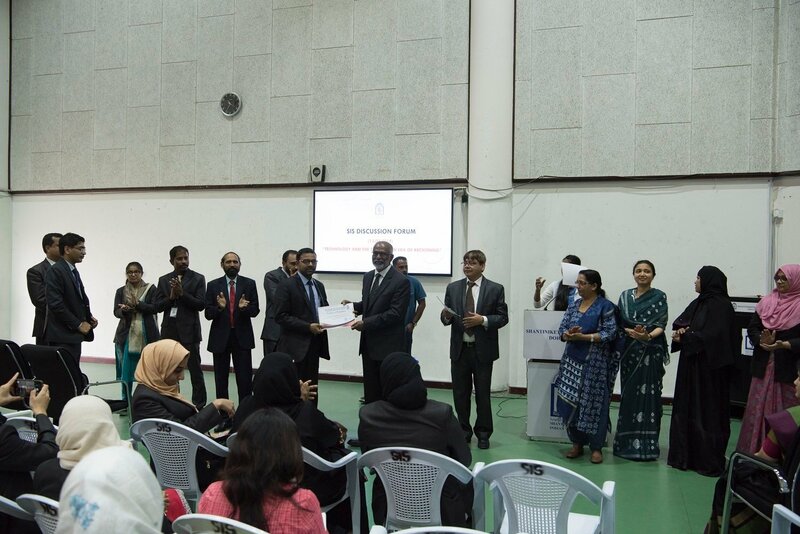 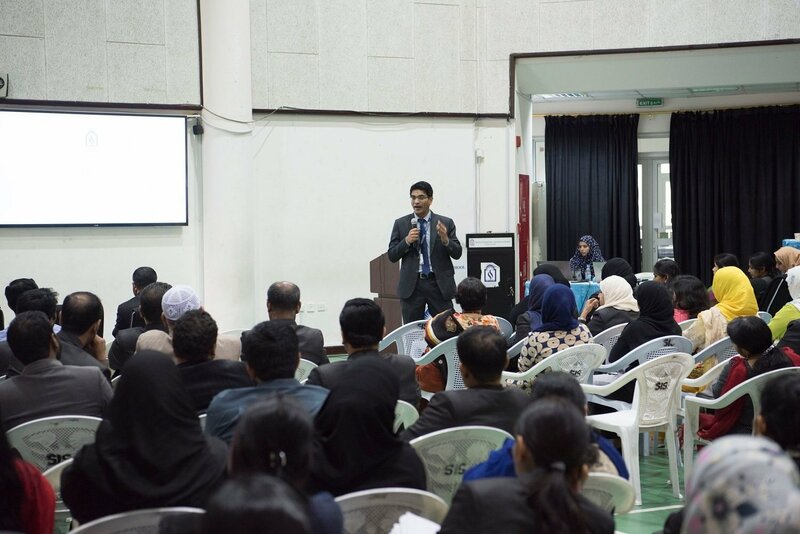 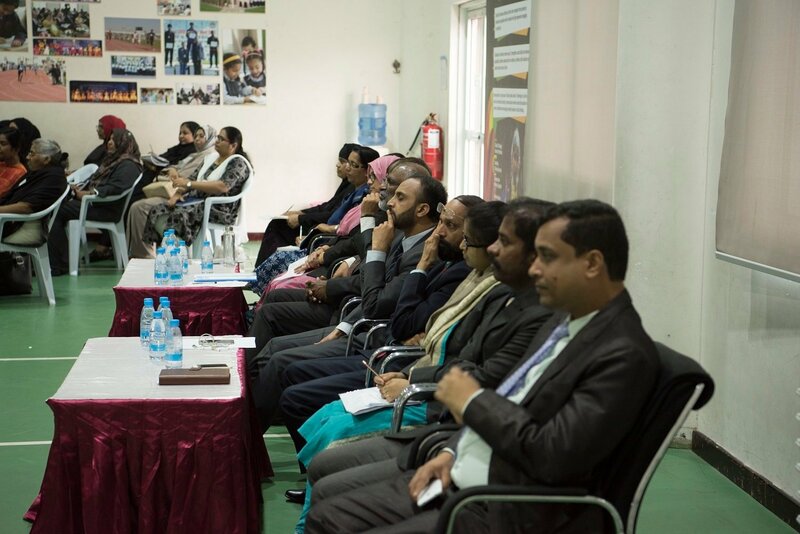 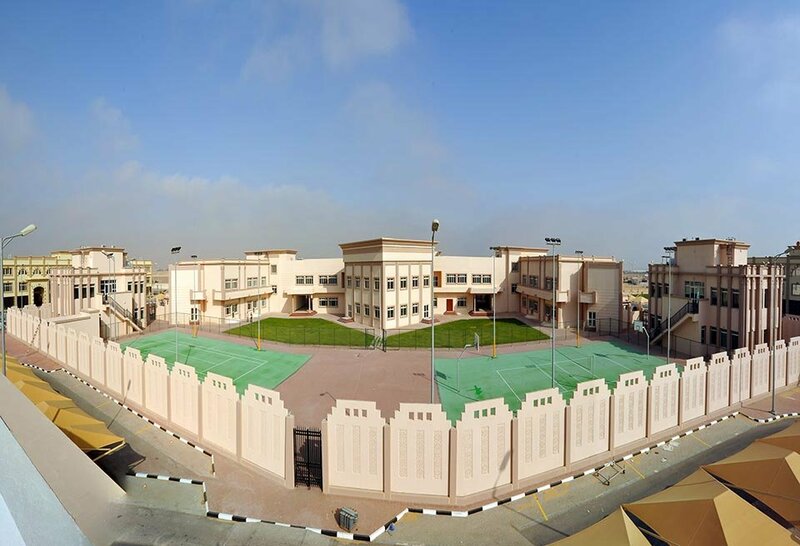 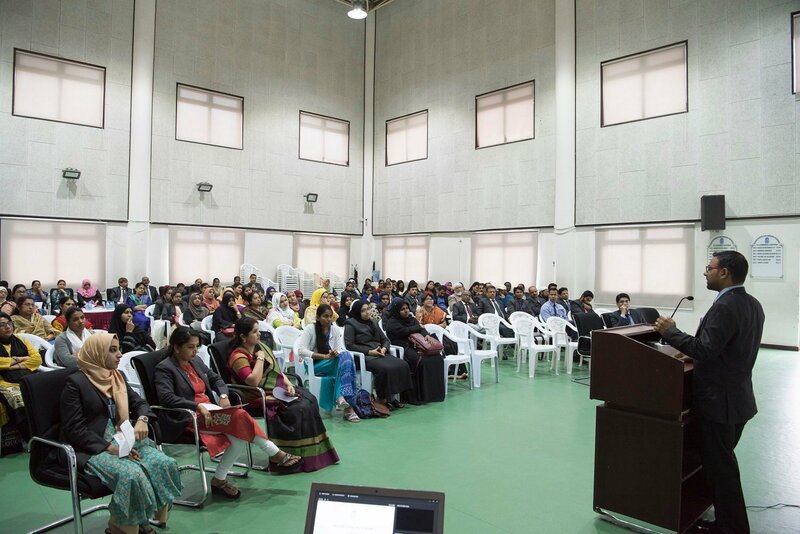 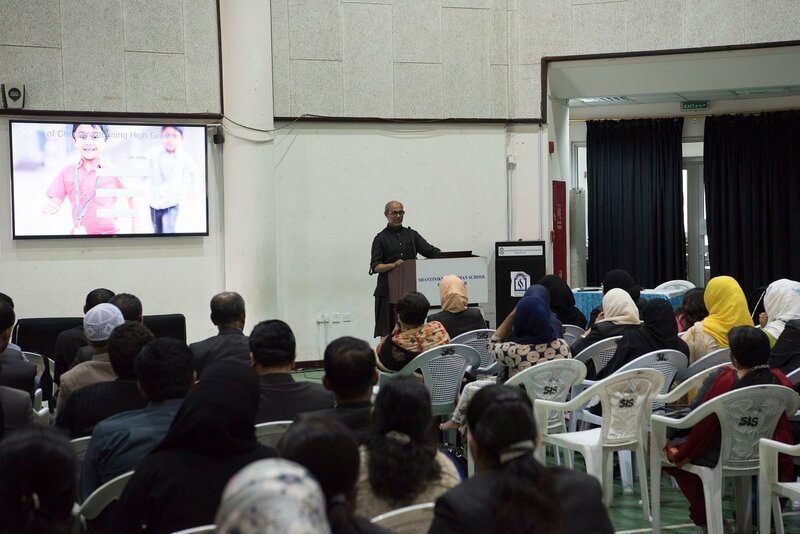 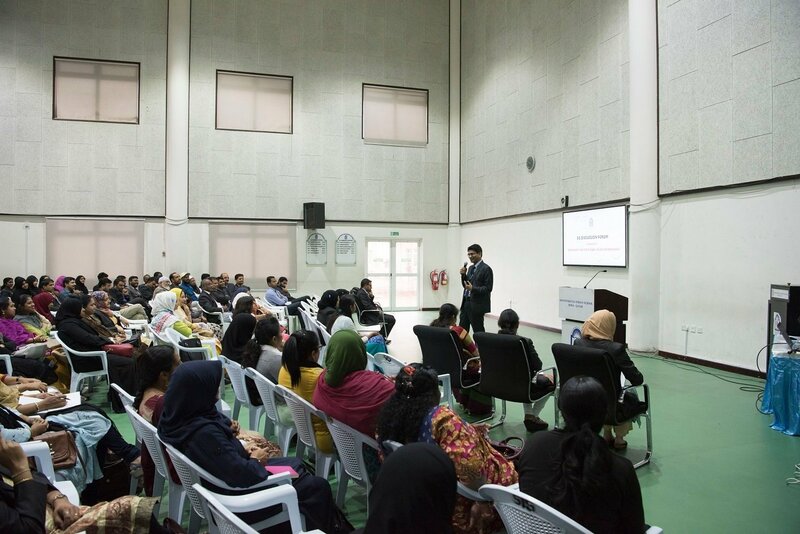 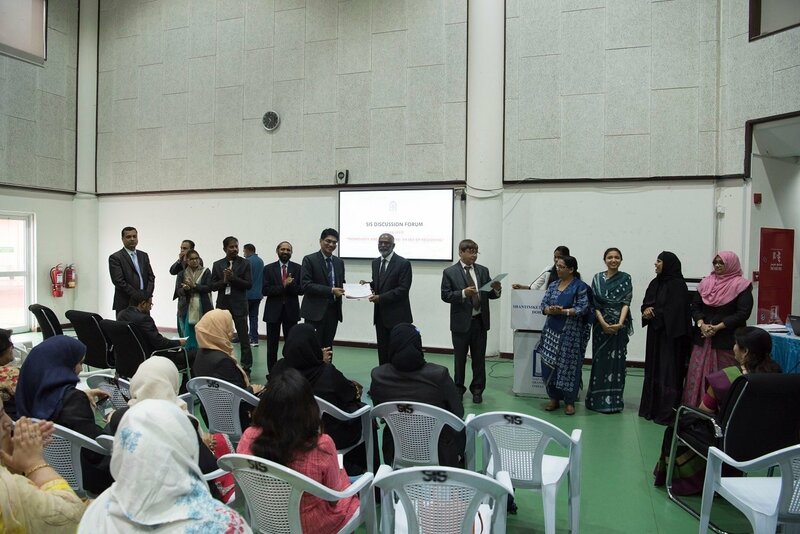 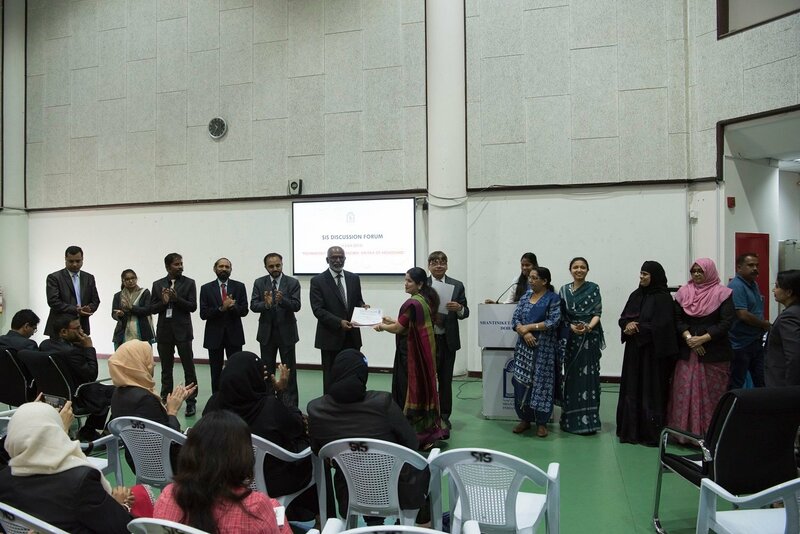 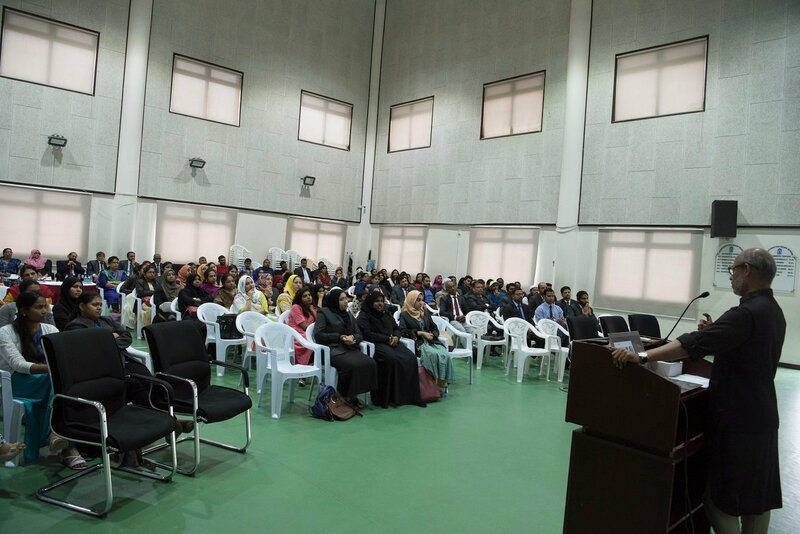 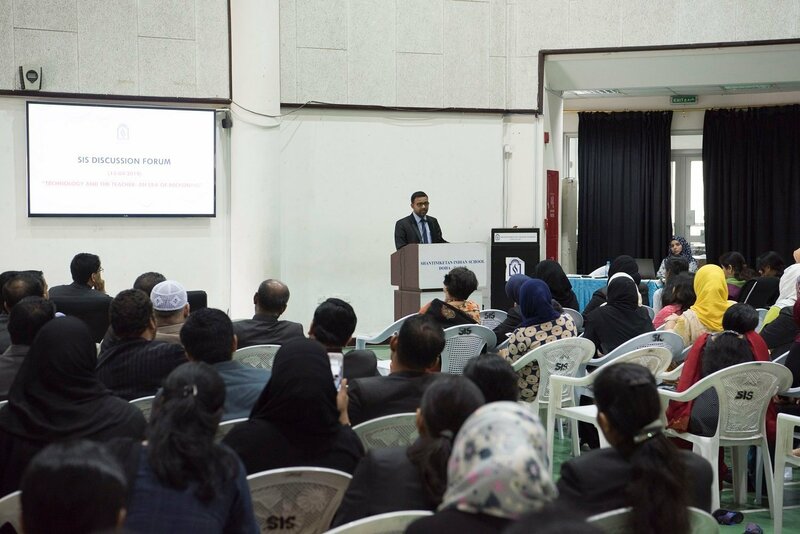 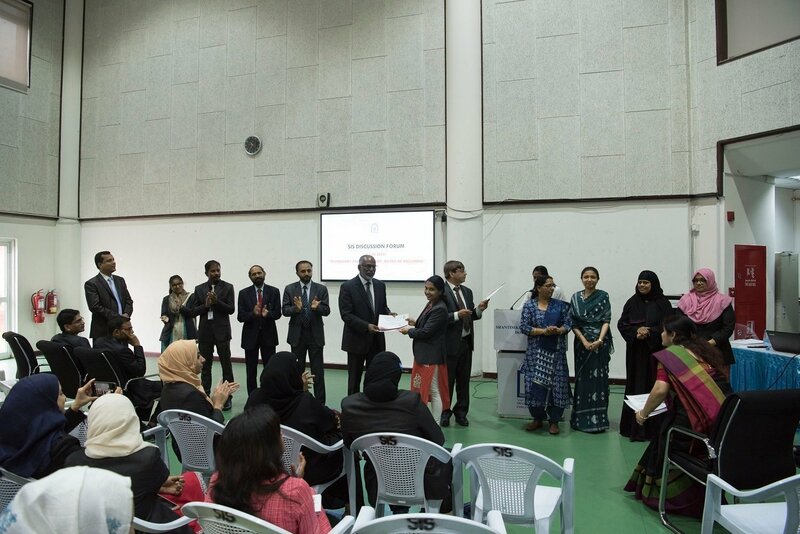 The CCA team comprising Mr. Jamal MP, Mr. Donald D’costa and Mr Hamza NK expressed their heartfelt gratitude towards the management, Principal, Vice Principals, Sections heads, Administrative staffs, House Mistress and House Masters.